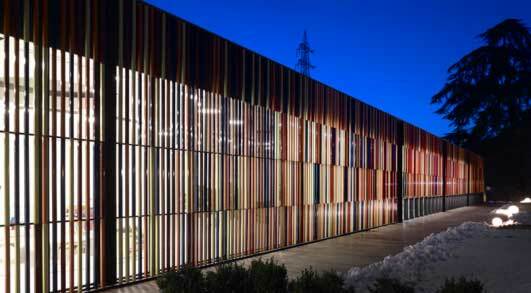 We list all architectural news items added on e-architect in any month on a monthly news page, it forms a useful record in case you missed some item or some days within the month. 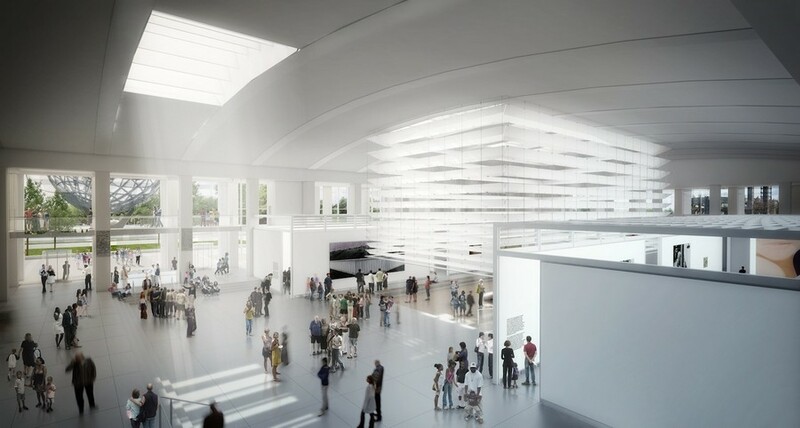 On 30 October 2013, the newly expanded Queens Museum, designed by Grimshaw, was inaugurated by New York City Mayor Michael Bloomberg, the museum’s Executive Director Tom Finkelpearl, and museum trustees. Located in Flushing Meadows Corona Park in Queens, New York, the renovation doubles the size of the institution, adding 50,000 square feet of new galleries, classrooms, public event spaces, a café and a museum shop. 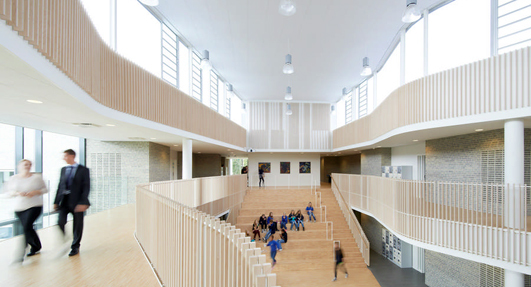 This 2,600 sqm building includes a school, after-school and kindergarten. 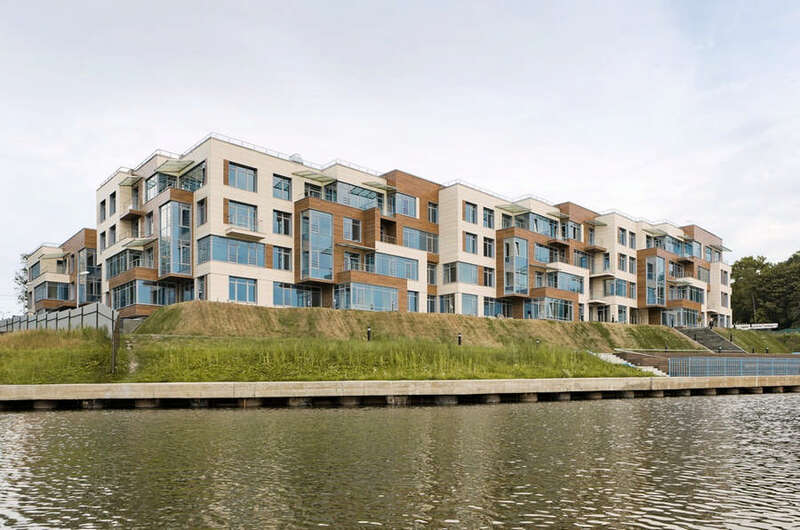 The architects designed the complex like a small town with individual volumes located around a square and winding streets. 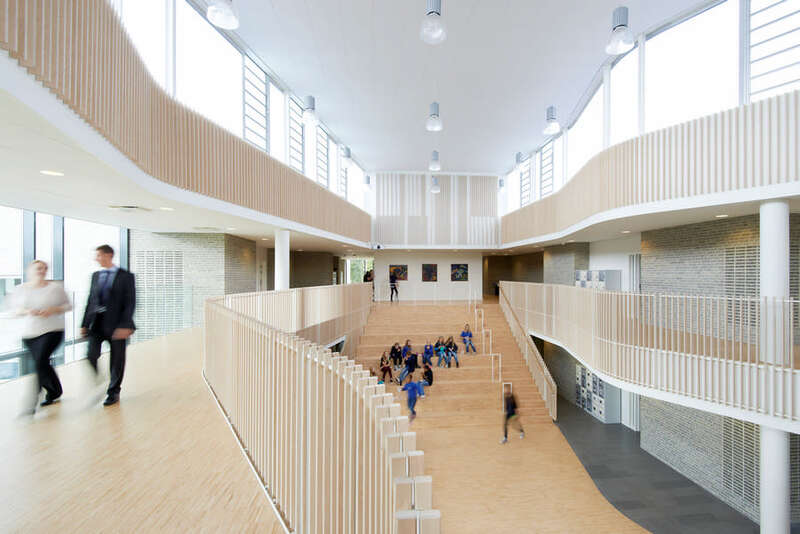 Centrally located in the school complex is a long superstructure with a curved form. The superstructure contains ventilation systems and skylights, and is clad in translucent fa-cade panels and double-glazed windows, respectively. Centre de Conservation et de Ressources, MUCEM is a building designed for the storage and study of the collections. It occupies a plot of around 13,000 m² on 1.2 hectares of formerly military land, the Bugeaud site of the Muy barracks, in the La belle de mai district, a plot large enough for subsequent extension in a second phase. 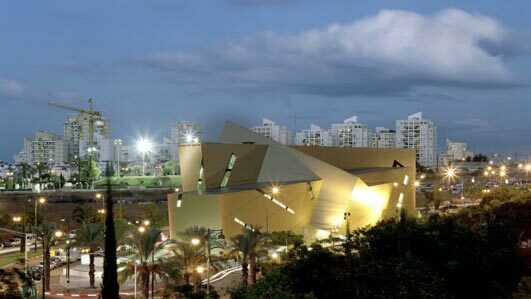 It houses all of the museum’s reserves as well as it’s documentary collections, its library and its scientific archives. 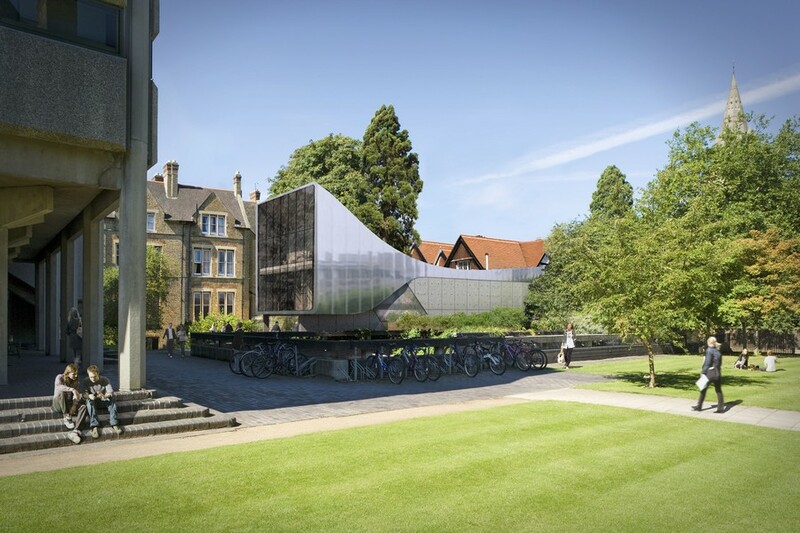 Oxford is a historic city but with a wide variety of good contemporary architecture. 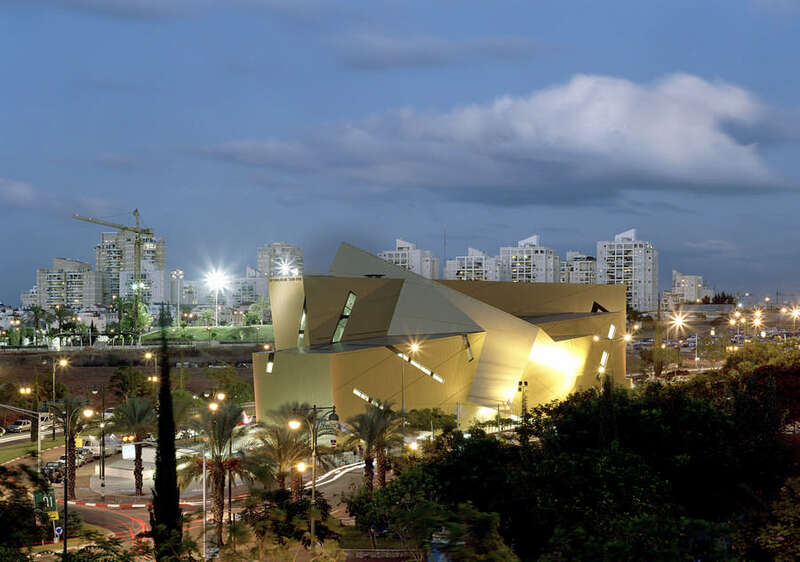 Major architects with buildings in this city include James Stirling, Arne Jacobsen, Zaha Hadid Architects, Rick Mather Architects, MJP Architects, Bennetts Associates and Niall McLaughlin Architects. Signficant 20th Century architecture can also be found in the city. The best projects have been selected for the sixth biennial review of Finnish architecture. 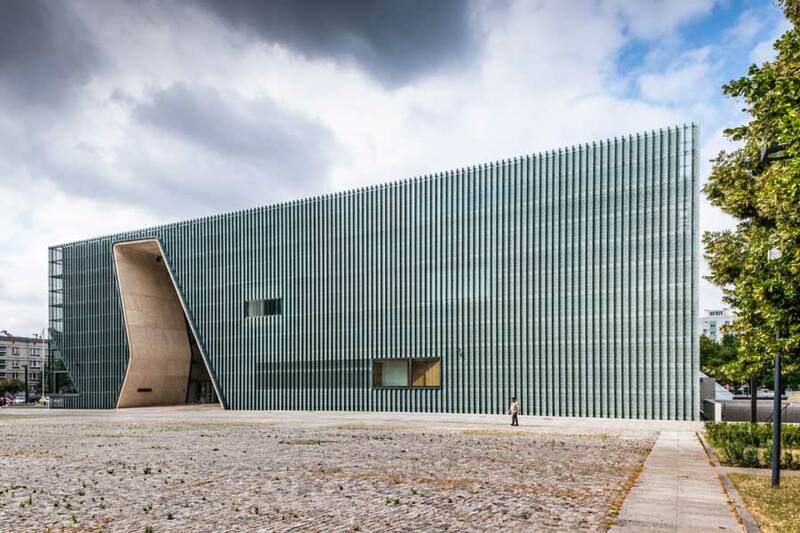 It is run by the Museum of Finnish Architecture, the Alvar Aalto Foundation / Academy and the Finnish Association of Architects. 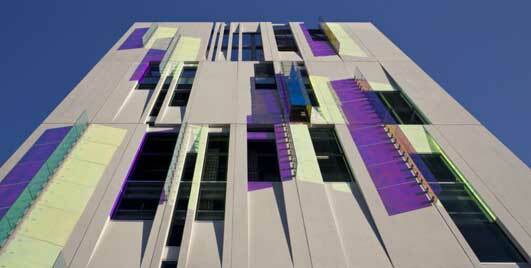 The review showcases exemplary Finnish architectural projects from mid 2011 to 2013. “The Ennead team’s submission struck so many of us in the room as a great opportunity not to be missed,” stated Steve Bluestone of The Bluestone Organization. 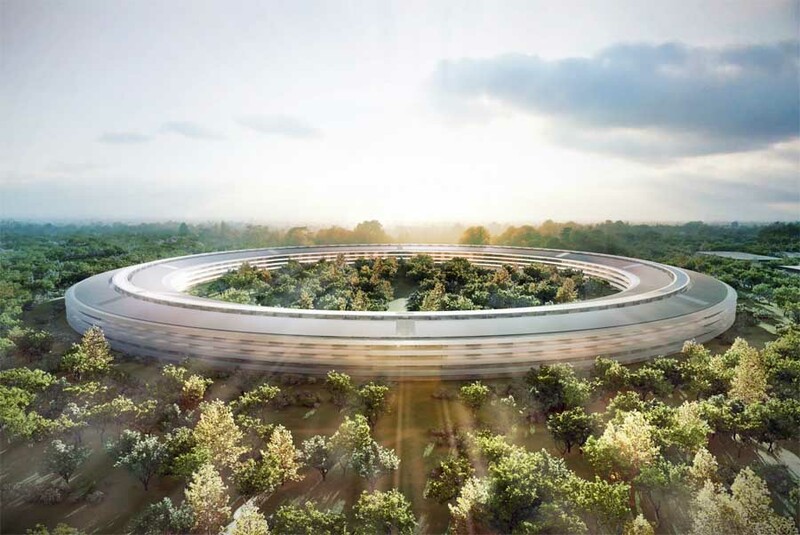 “It was a big idea and I would still like to see the proposal get built – it should be built. And while this beachfront turned out not to be the right fit, I do not doubt that there are many other beachfront communities that will embrace this plan.” Ennead Architects/Ennead Lab was selected along with the winning White Arkitekter team from Sweden as one of four finalists chosen from 117 submissions from more than 20 countries. This project aims to upgrade the public area in Medolla, to reduce the traffic and find a new hierarchy of use with an orientation to pedestrian areas by creating stimulating spaces. The intervention tries to connect two squares. One of the key characteristics of the design is the creation of the “field opening”: continuous space without major obstacles. 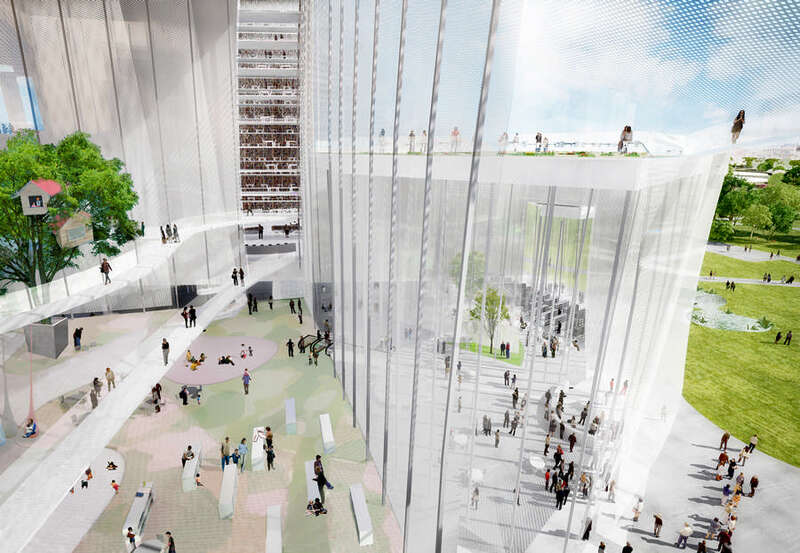 Noh, the traditional, Japanese performance art, is the principal inspiration for the architectural concept. The performance of Noh is heavily reliant upon the use of delicately carved masks. Although at first these masks may appear to present a neutral expression they are formed in such a way as to convey a broad emotional spectrum. Through subtle changes in the actor’s movement and variances in lighting the masks are brought to life. A similar dialogue exists between built form and seasonal and daily changes to the sun’s altitude, weather patterns and fluctuations in atmospheric conditions. This temporal cycle conspires to continuously transform and direct light and shadows, generating a form of architectural expression. The Ohio State University South Campus Central Chiller Plant is a dynamic building at a major entry into campus. 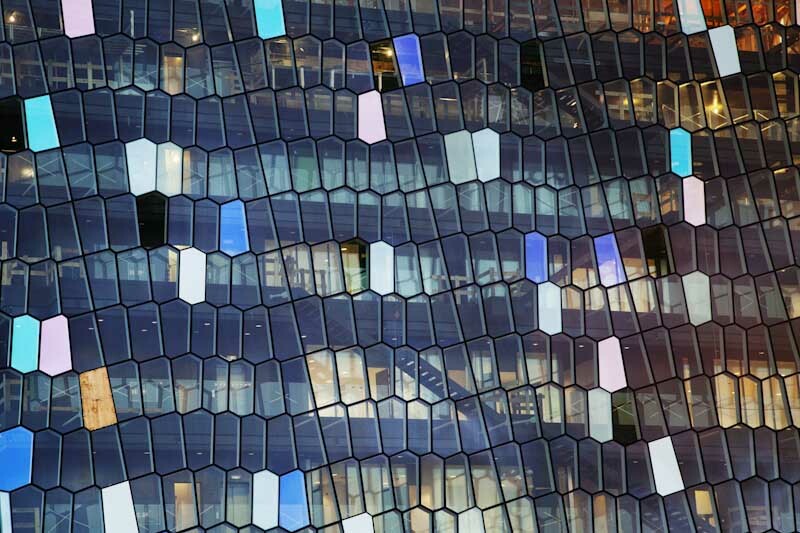 The LEED Silver Certified building is adorned with dichroic glass fins and boxes which change in colour with the movement of the sun. 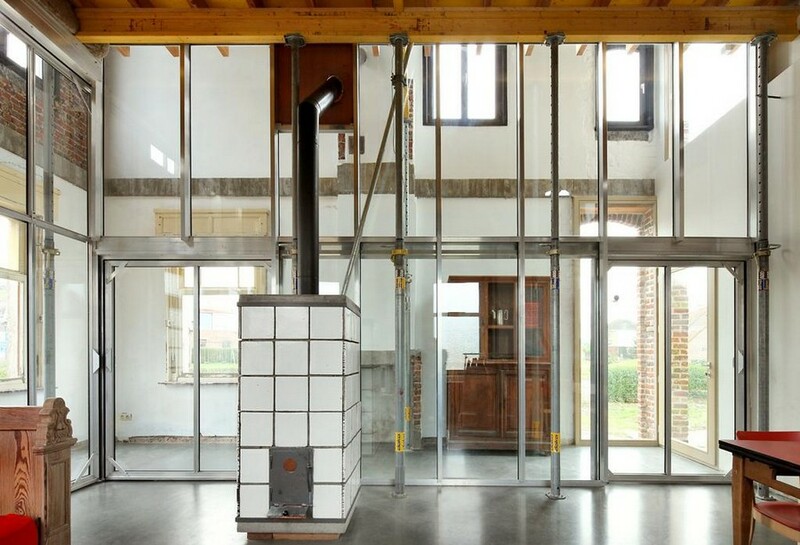 Glazed openings are located to frame views of the chiller equipment within. 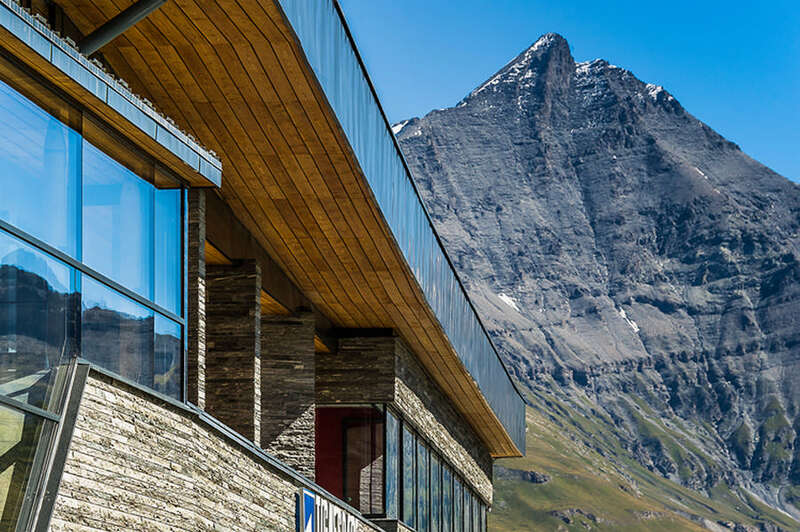 The new indoor sports and conference centre building in Tignes is located in a restricted site in the Tarentaise Valley. 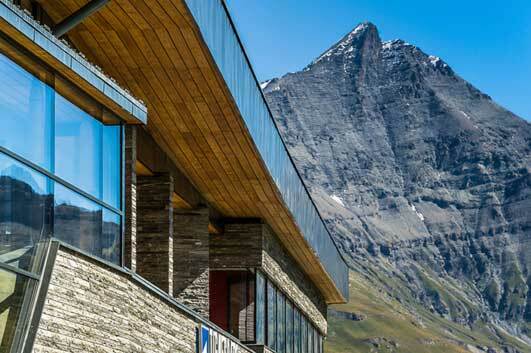 Its stone and glass façade works with the majestic mountain and lake landscape. The building’s roof will be flowery meadow in summer and a young children’s ski area in winter. These architectural awards champion the best in progressive design and innovative surfaces and are the only international awards to focus exclusively on surface design. The finalists were chosen by a judging panel of design experts co-chaired by Professor Will Alsop of All Design and Vanessa Brady, the President of the Society of British Interior Design. The winner of the Supreme award will be selected from the list of finalists and announced on 6 Feb 2014. Seven of the ten tallest residential buildings in the world are located in Dubai. The desire for recognition and prestige and income have led to a boom in construction of supertall tower buildings. 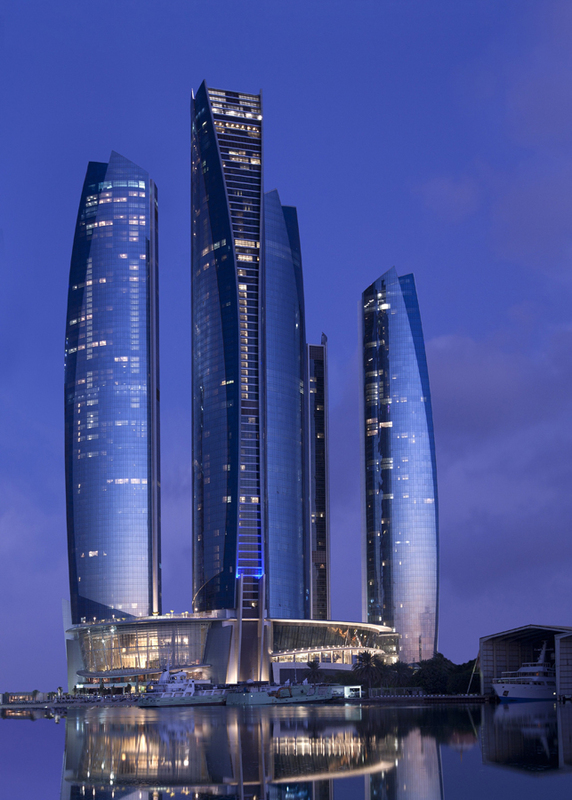 A list of the world’s ten tallest residential buildings has been compiled by Emporis. 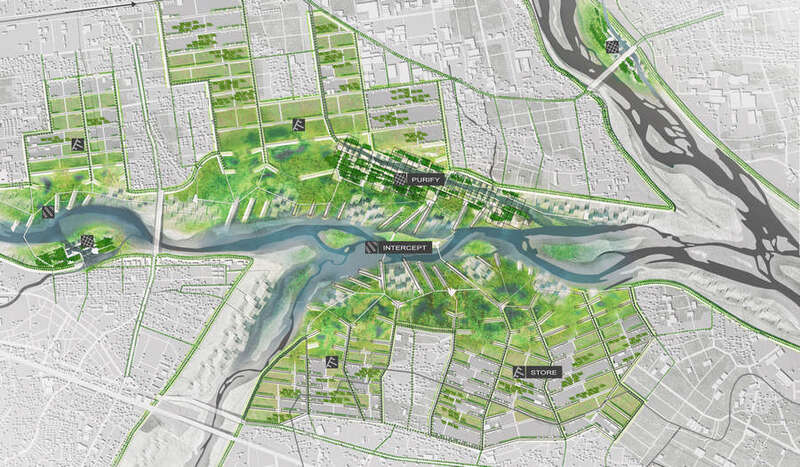 This year’s ONE Prize called upon architects, engineers, ecologists, urban planners, and designers to “stormproof” cities with competent planning, and ecologically sound and socially responsible design solutions. This architecture competition received 168 team entries from over 15 countries and 5 continents. 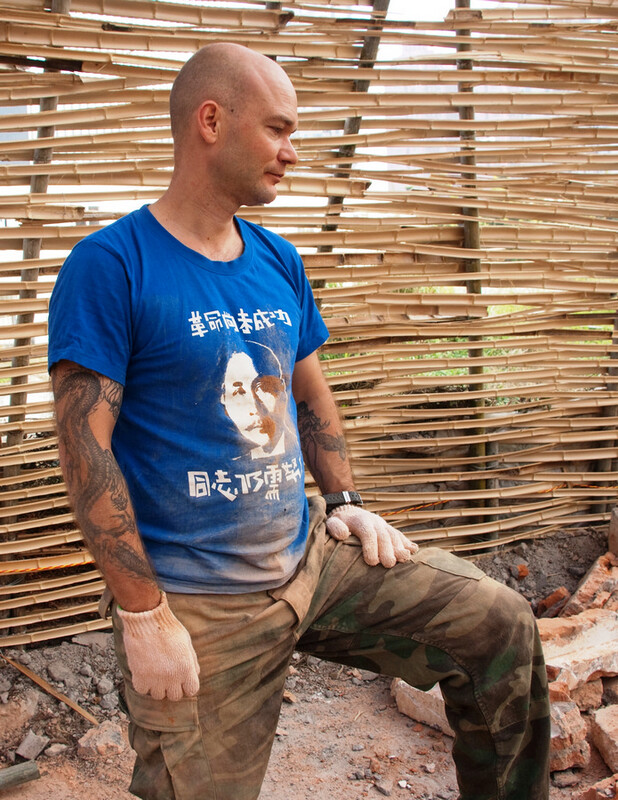 Participants from around the globe deployed sophisticated designs to alleviate storm and flood impact through various urban interventions. 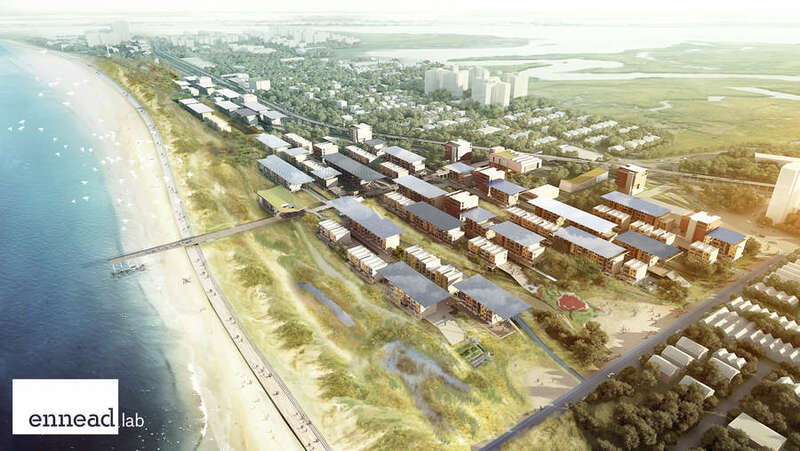 Protective green spaces, barrier islands, alternative living, and coastal public space solutions are one of the few schemes that either reinvigorated existing infrastructure or re-purposed spaces towards environmental adaptation, putting design in the service of the community. The new £2.5m Caryl Churchill theatre at Royal Holloway, University of London, will officially open on 13 November. 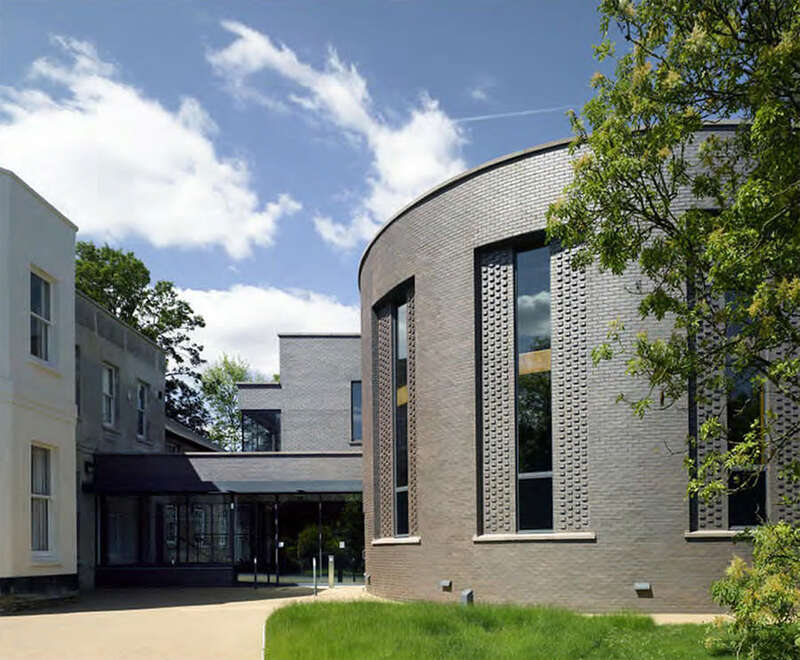 The 178 seat theatre is built alongside the Grade II listed Sutherland House and is an extension of the University’s leading Department of Drama and Theatre located in Egham, Surrey. 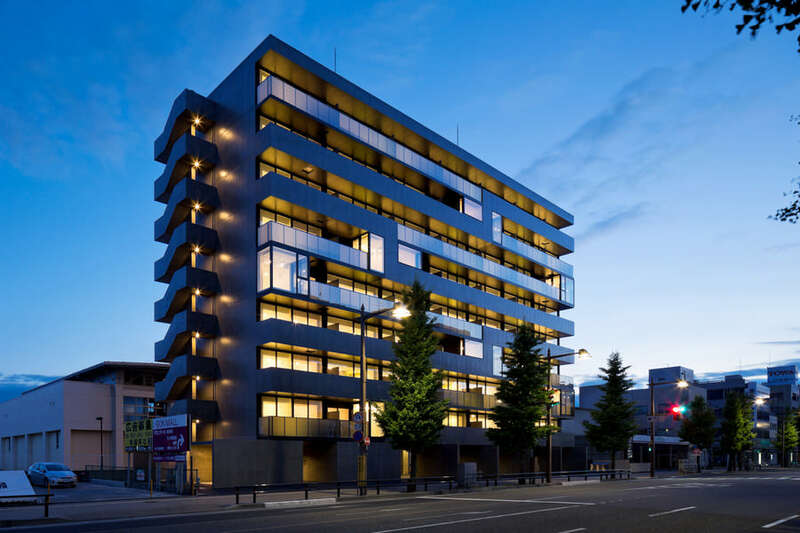 Named after world-renowned British playwright Caryl Churchill, it replaces the 30-year-old ‘black box’ theatre; a lightweight prefabricated studio extension that was added to the east side of the Regency building in the 1970s. 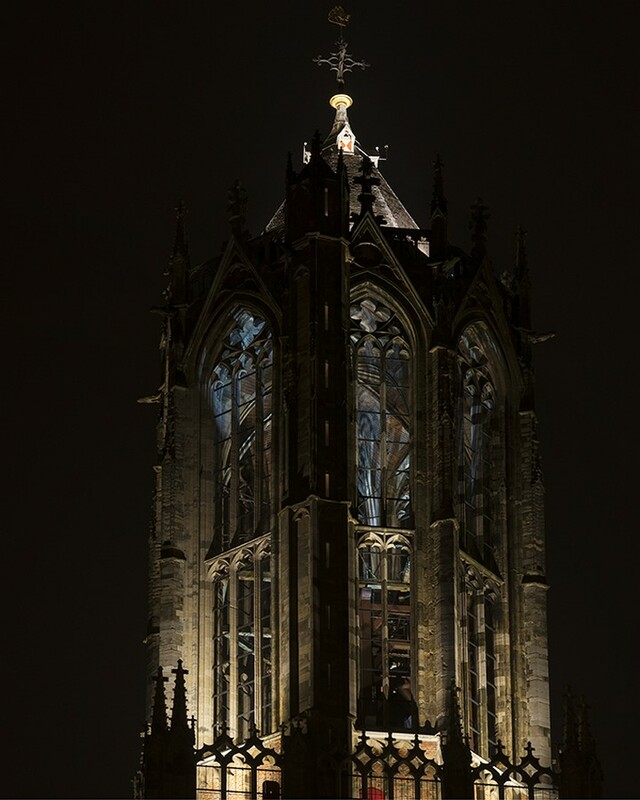 A narrative-based light installation by Speirs +Major, incorporating the Dom Tower, Dom Square and Dom Church in Utrecht, The Netherlands. 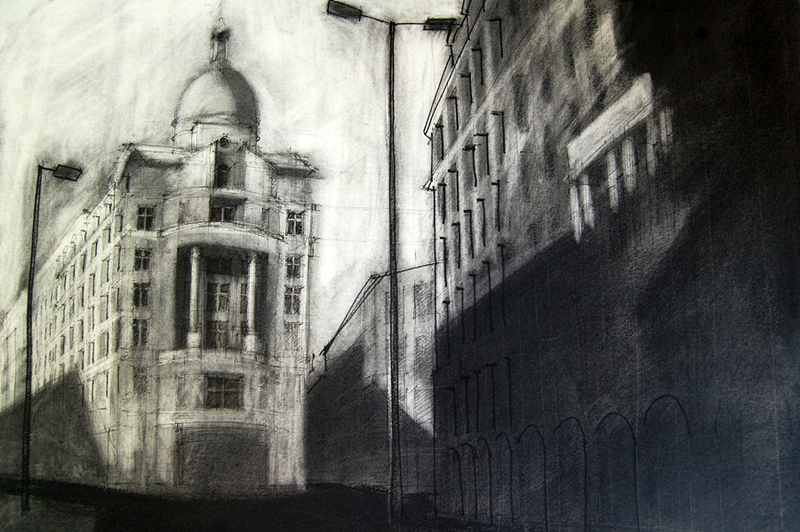 World-renowned artists, architects and designers have taken part in the 10×10 Drawing the City London, helping to raise funds for the UK’s leading architectural and construction aid charity, Article 25. A section of London was divided into a 10×10 grid with each of the 100 squares allocated to a prominent architect, designer or an artist. Using any medium available, they created 100 pieces of art, capturing the unique, the extra-ordinary, the unnoticed and the ever changing city of London. Terminal 3 at IGI is one of the prime infrastructural projects in New Delhi. 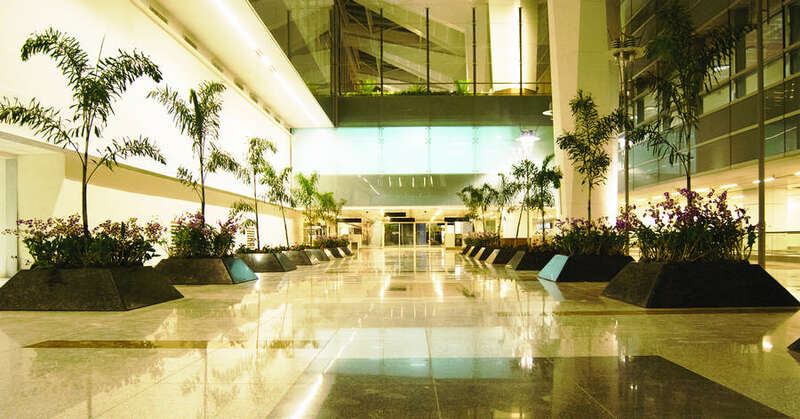 The Terminal T3 at Indira Gandhi International (IGI) Airport is designed with many unique landscape features. 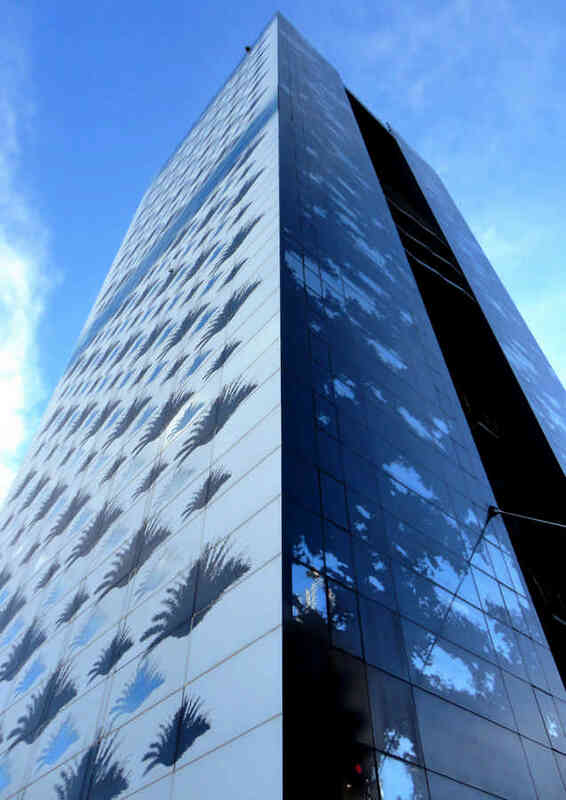 Odyssey was awarded the Hardscape and Water Features work for this iconic project. Diamond Schmitt Architects has received an award for their Biofilter Living Wall in an innovative campus building at Drexel University. 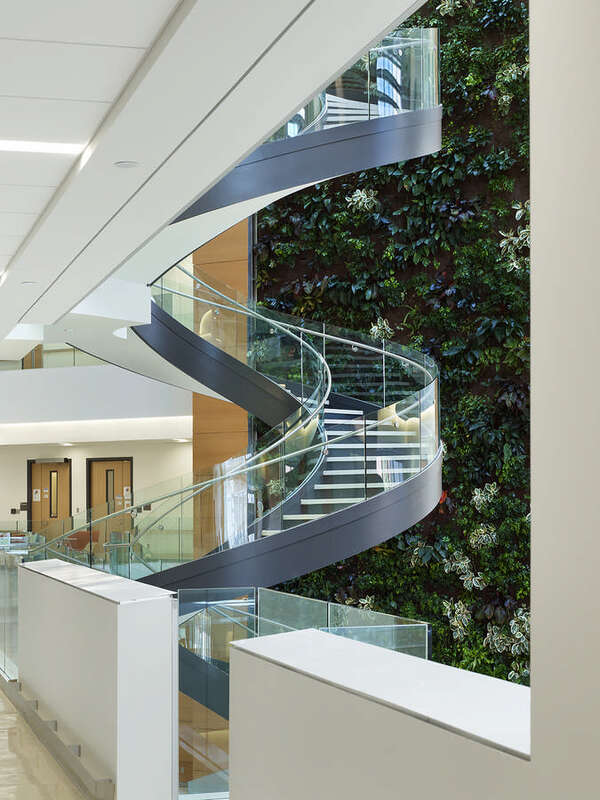 NEDLAW Living Walls is co-recipient of the honour that recognizes the advancement of sustainable design. 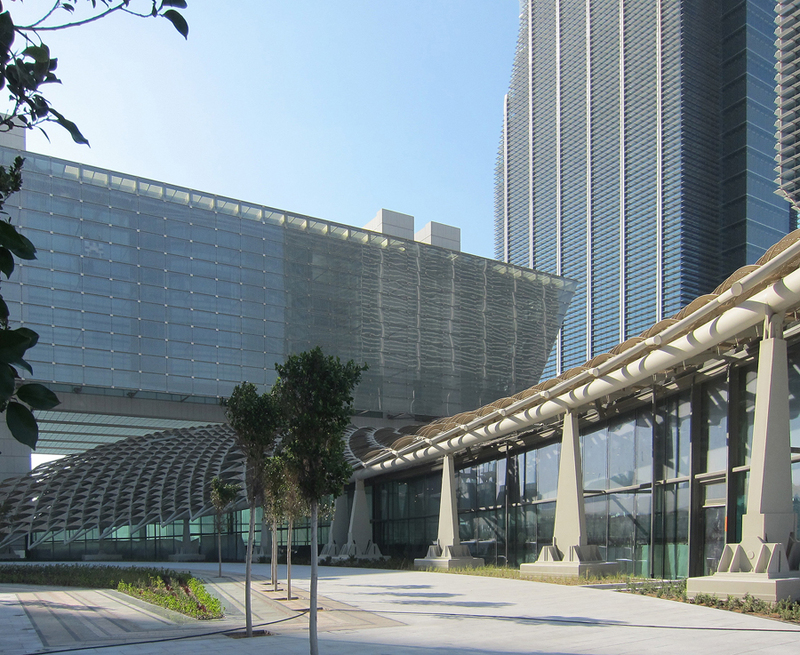 The 33,000 sqm (355,000 sqft) luxury shopping and dining mall was designed by Elkus Manfredi Architects and Benoy Architects with ESD (Environmental Systems Design, Inc.) providing full MEP design and field services. 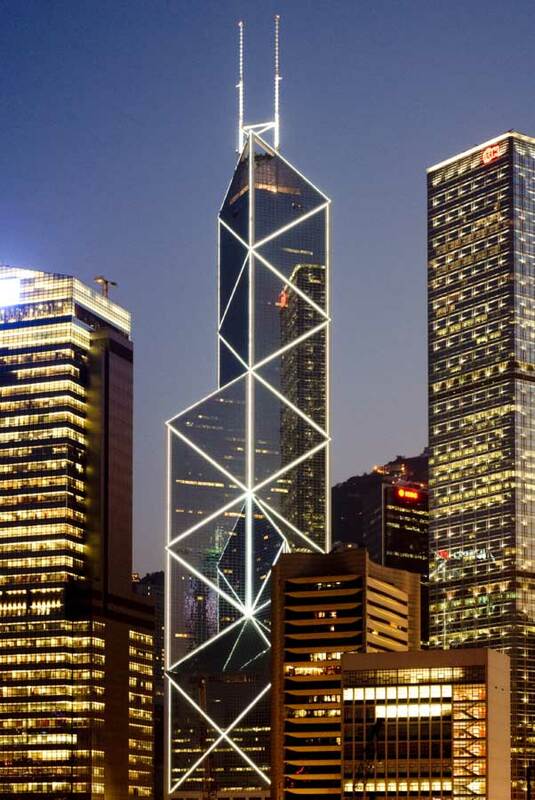 The 450,000 sqm (4.8 million sqft) office, retail and hotel Sowwah Square development received the CTBUH 2013 Best Tall Buildings Award for Middle East and Africa earlier this year. These awards celebrate the success of property developers, with awards being handed out to companies and developers across 21 categories. 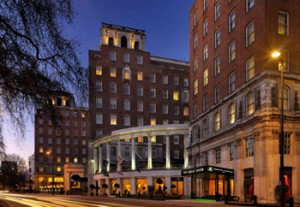 This year, the award ceremony takes place on the 15th November at the Grosvenor House hotel in London, UK. Award winners receive a Gold, Silver or Bronze plaque, depending on their award for each category. The one award that doesn’t take this format is the Housebuilder of the Year; there is only one winner for this award. Construction of the new $6.6 m Wagner Education Center at CWB is scheduled to begin this winter. Designed by Seattle architect Tom Kundig the building harks back to historic Northwest boatbuilding facilities while at the same time servuings as a contemporary museum front. 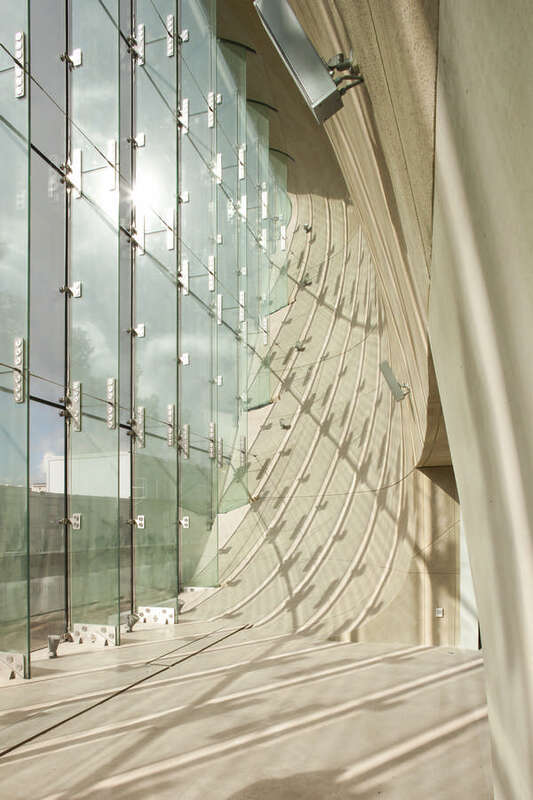 Kundig’s interest in creating shape-shifting structures is evident in the building design where large windows flank interior spaces and movable exterior panels shift up or down to allow for the control of natural light and open or close the building. Images released of the design for the Qatar Pavilion for the EXPO 2015 by this Italian architecture office. 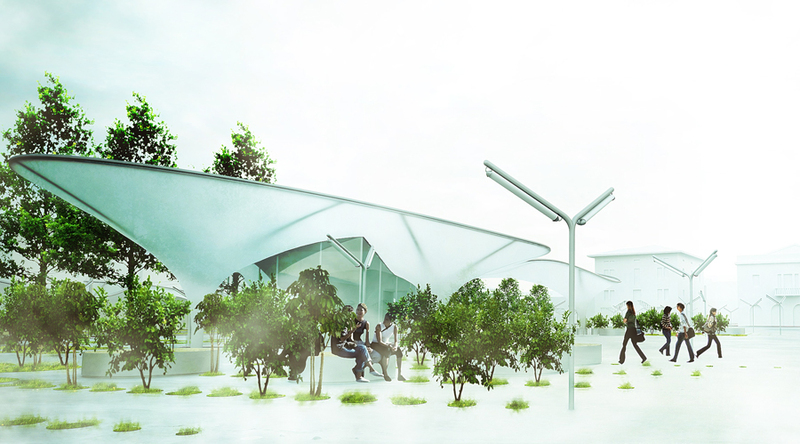 Millions of visitors will go to Milan to see the EXPO 2015 – with motto “Feeding the Planet”. Ianus is a decorative stone tub/fountain for indoor or outdoor use. It is the result of a digital simulative design and CNC fabrication with a 6 axis robot, milled from a monolithic block of Gray Shadow stone, caved in Turkey. 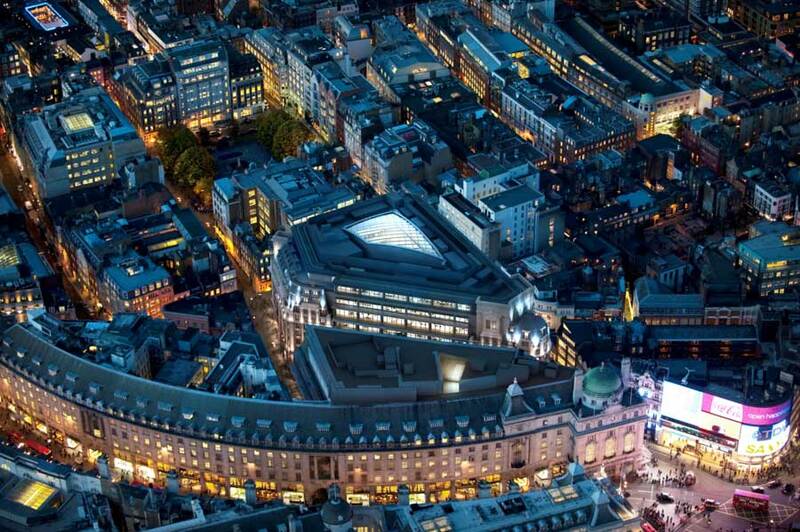 Construction has started on Quadrant 2 South, the latest project under The Crown Estate’s £1 billion regeneration of Regent Street in central London. The Grade II listed properties are being redeveloped behind retained facades to provide new office space. The building is due to be complete by early 2015. 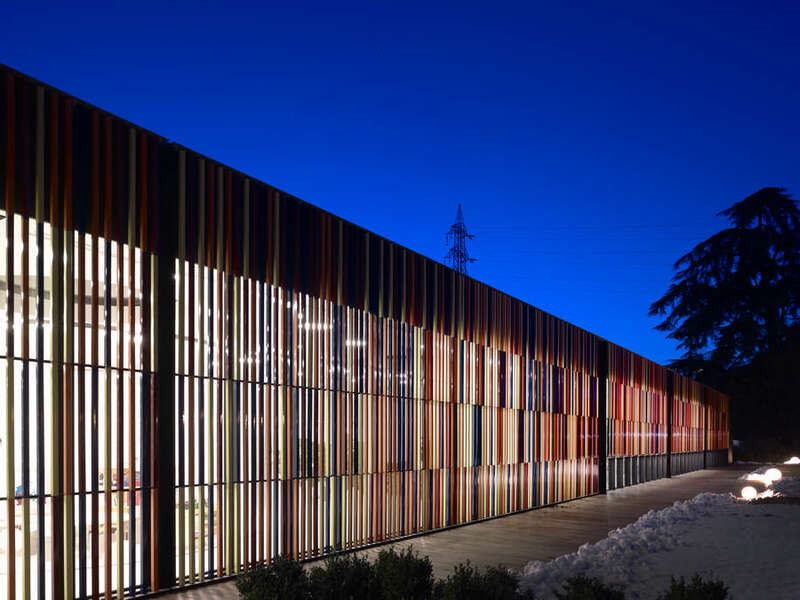 This residential building is formed by cubic volumes of two different colours creating a complex geometrical facade with vertical and horizontal strips of light and dark shades. Modern technologies have changed our lives in a way that we can receive and share informations at high speed, do more things, move faster and travel more often. This new everyday routines affect all other aspects of life, such as the space we live in, the space we work in or spend our spare time. 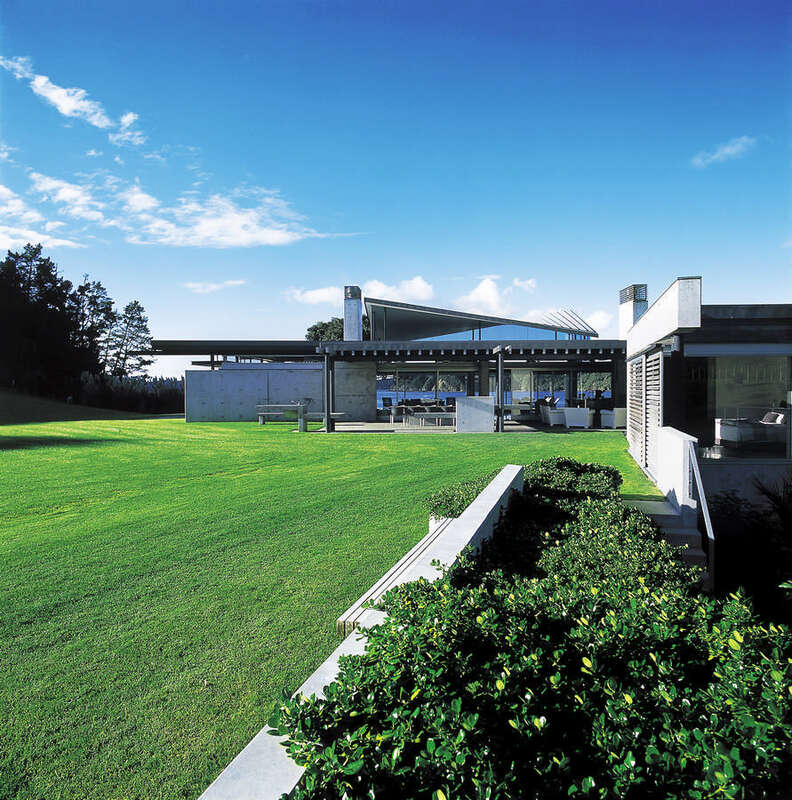 More than ever, architects are faced with tasks such as redesign, reconstruction. 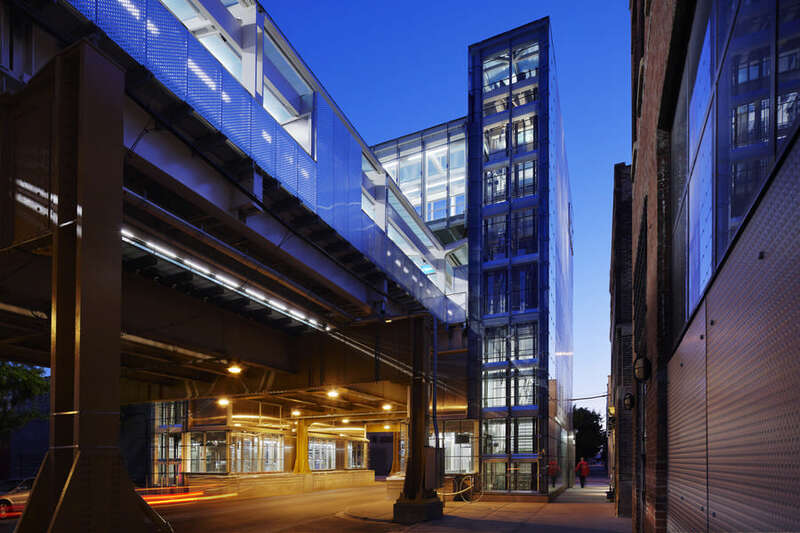 A new elevated station at Morgan and Lake Streets defines the geographic center and character of Chicago’s Fulton Market District, an industrial area transformed into a multi-faceted neighborhood with emerging residential and retail uses. The Market is a rich combination of warehouses, off-the-beaten-path restaurants, specialty purveyors, loft conversions and boutique stores. 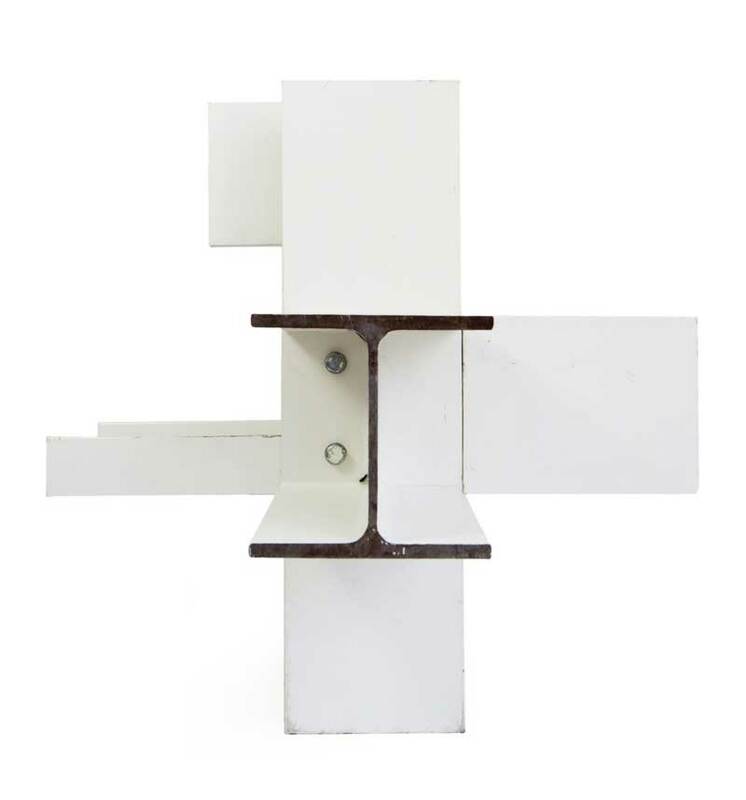 Material selections for the building reinforce this character, taking cues from nearby steel, glass, concrete, polycarbonate, granite and cast iron. 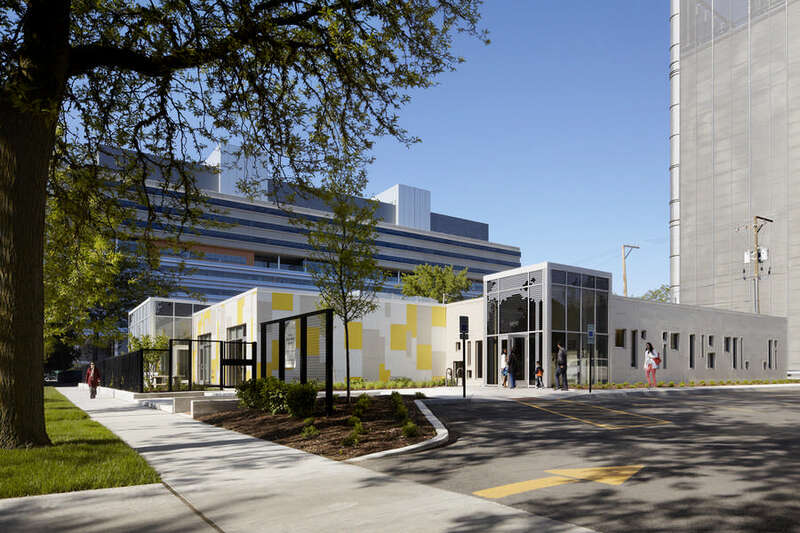 This is the first childcare center built for the University of Chicago. The building is located on a developing edge of the medical campus, and shall serve the families of both the University and Medical Center. The clients and architects worked to develop a language for the child care facility that creates a playful environment that’s fits with the campus environment. A key element of the 2013 Shenzhen Biennale is the dramatic transformation of an old Shenzhen glass factory into one of the core venues. Spearheaded by Ole Bouman, the curator and creative director for UABB (Bi-City Biennale of Urbanism /Architecture), the project adhered to his manifesto statement of “Biennale as risk.” He now refers to the building as a ‘Value Factory’ to manufacture ideas and knowledge. 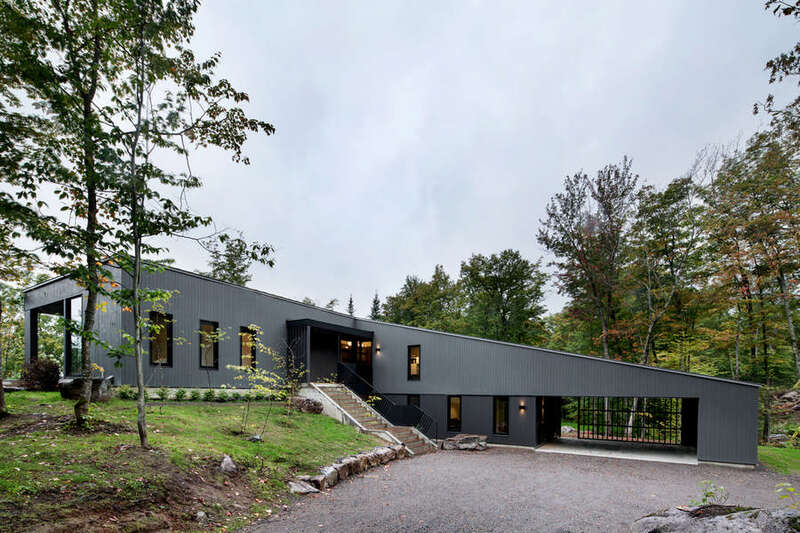 This is an L-shaped rural residence that looks out to Lac-de-la-Cabane. The form is dominated by a single sloping roof under which the architects have located living spaces and master bedroom in the upper block and 3 children’s bedrooms and a games room in the lower block, whic is defined on the elevation with a darker base grey colour. 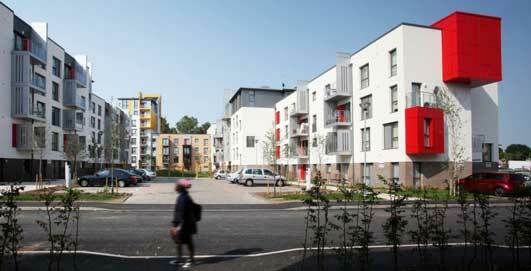 This is an urban regeneration scheme to house key workers in North London. 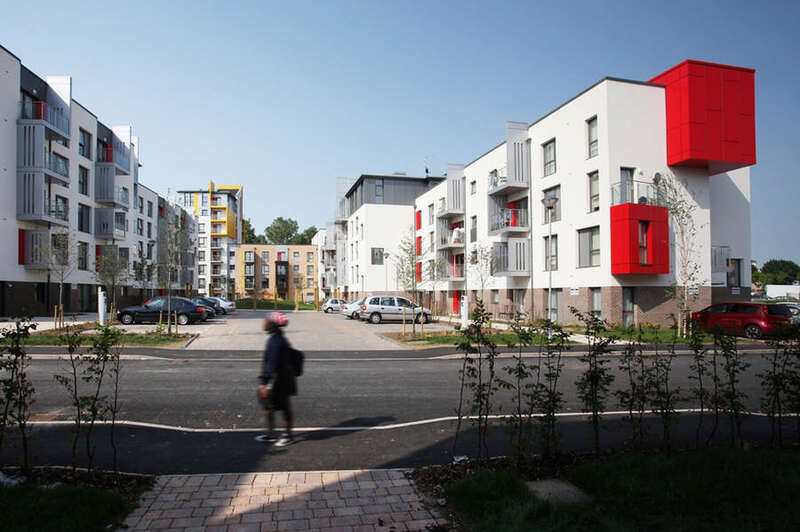 The £25m residential development for Origin Housing provides 221 units, incorporating 128 units for key workers/intermediate rent, 65 social rented units and 28 shared ownership units. 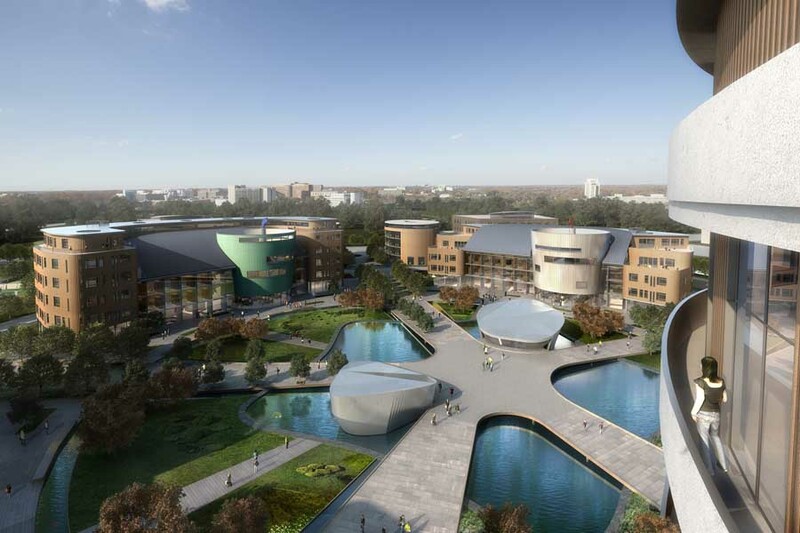 Construction is due to start shortly on the Lishui Zijing Technology Enterprise Park south of Nanjing. 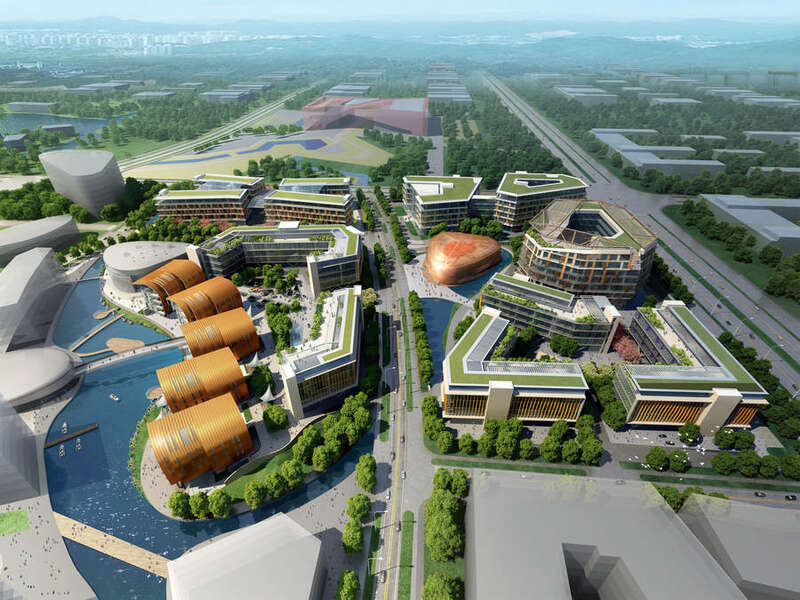 BDP’s Shanghai design studio submitted schematic design proposals to the Lishui County government in early October. 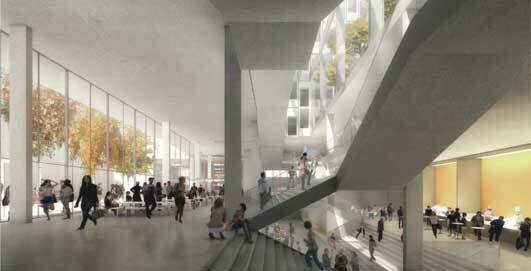 The project forms part of a wider masterplan also designed by the architects. This building extension has officially opened. 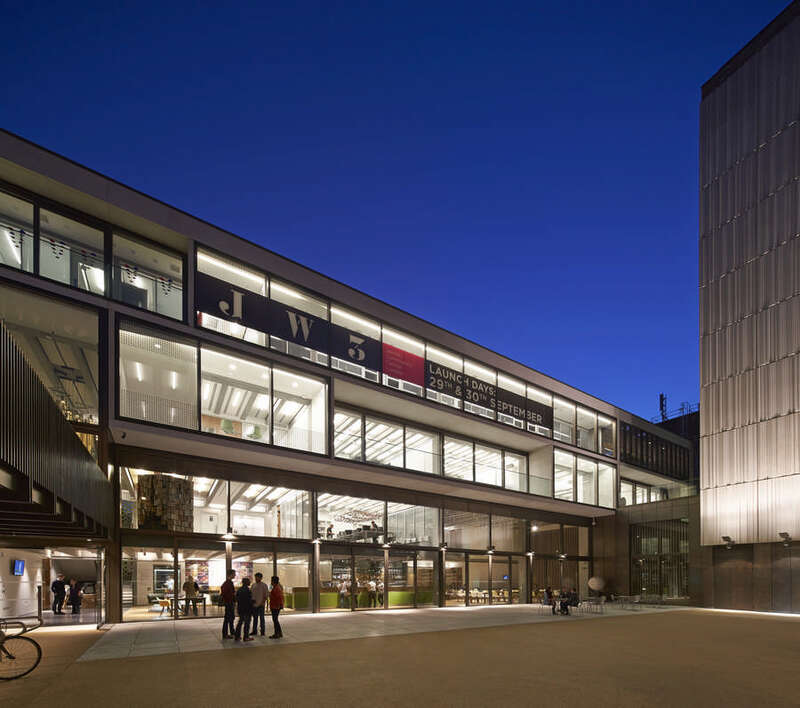 The architects won the RIBA national competition in 2008. 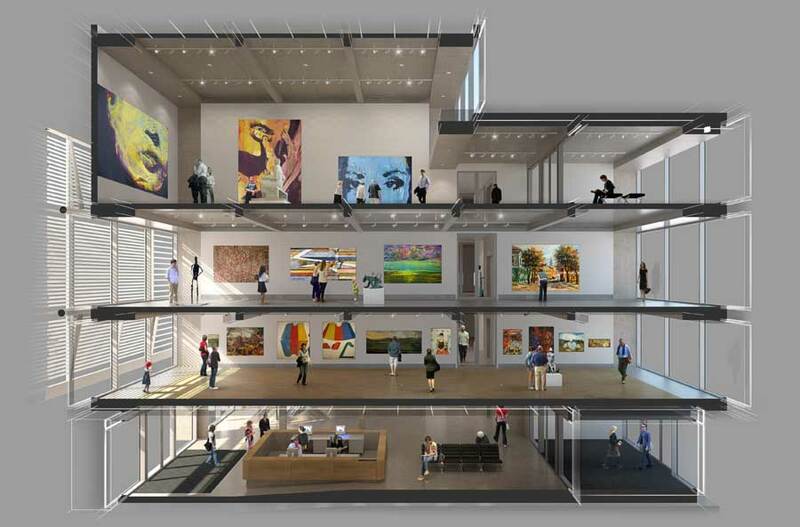 The new building offers 1,250 sqm of additional gallery space and ancillary facilities. The Department of Architecture at XJTLU was able to achieve this significant milestone with the assistance from a number of colleagues and associates. These include: Dr. Thomas Fischer, Professor Andy Brown, Professor Wang Bowei, Professor Xu Jian, Yang Fan, Prue Chiles, Professor Alan Dunlop, and Professor David Sadler. Seven celebrated ‘artists’ who will mentor seven young artists in 2014-15 are announced. 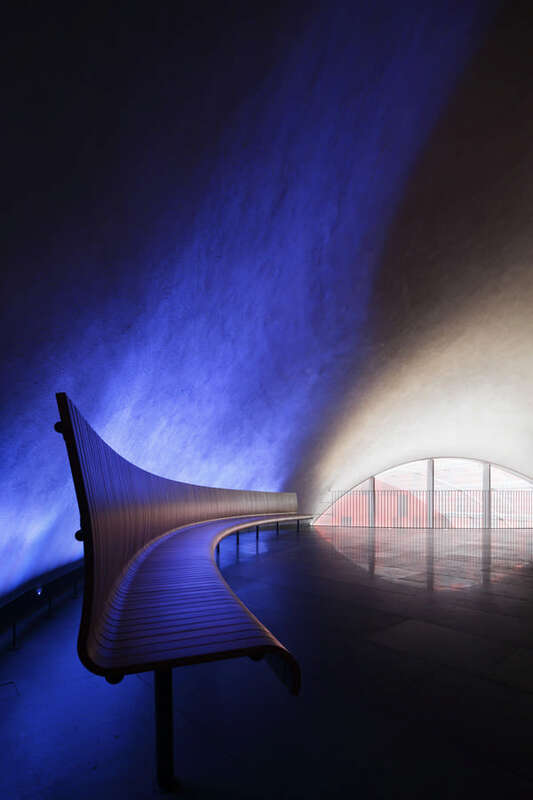 They include Peter Zumthor (architecture) and Olafur Eliasson (visual arts). 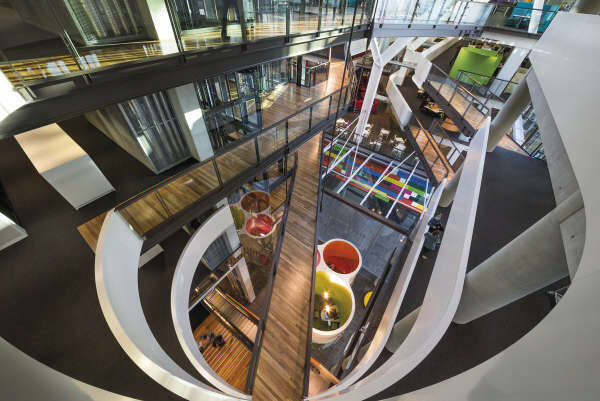 ASB North Wharf designed by BVN Donovan Hill in association with Jasmax as a fundamental building block of the new Wynyard Quarter has won an Auckland Architecture Award for Sustainable Architecture. 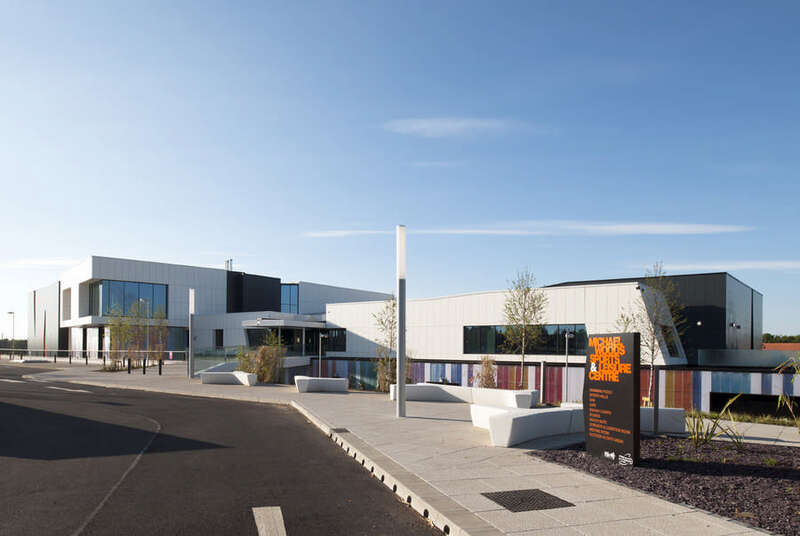 This essay entitled ‘Brutal Shock’ by the design principal of AKDA, New Delhi, looks at this 7 acre development just north of London’s financial district, The City. Completed in 1982 by architects Chamberlin, Powell and Bon the buildings were design in the Brutalist style. 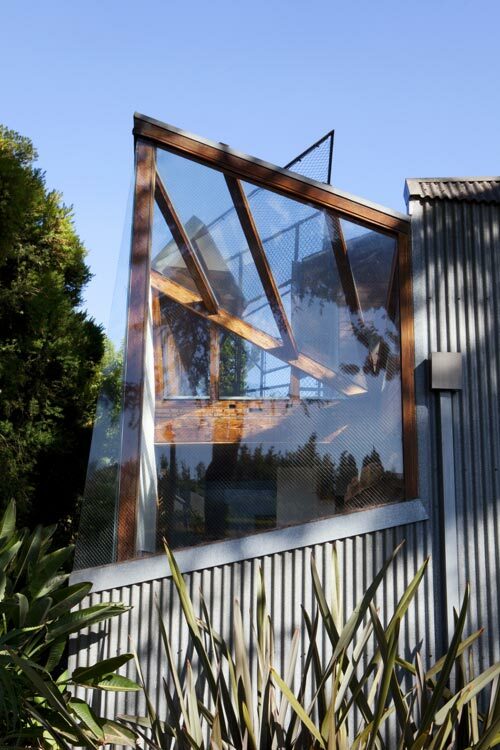 This is Frank Gehry’s own house – originally an extension, designed around an existing house. The design was influenced by the fleetingly-very-popular Deconstructivist style which also involved architect Zaha Hadid. Dubbed the largest city in the southern hemisphere – with around 11 million inhabitants – Sao Paulo is buoyant economically. 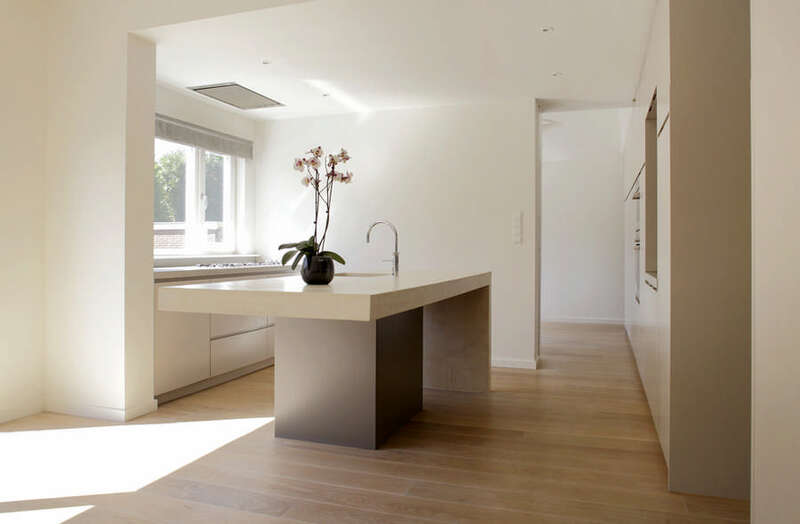 Much of the good new architecture in the city is residential and therefore mostly off-limits however our guide can provide a plentiful supply of other cutting-edge designs to visit. 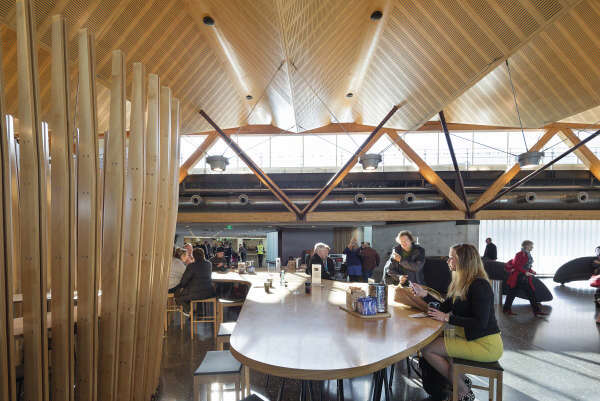 International design practice HASSELL celebrates 75 years of operation. 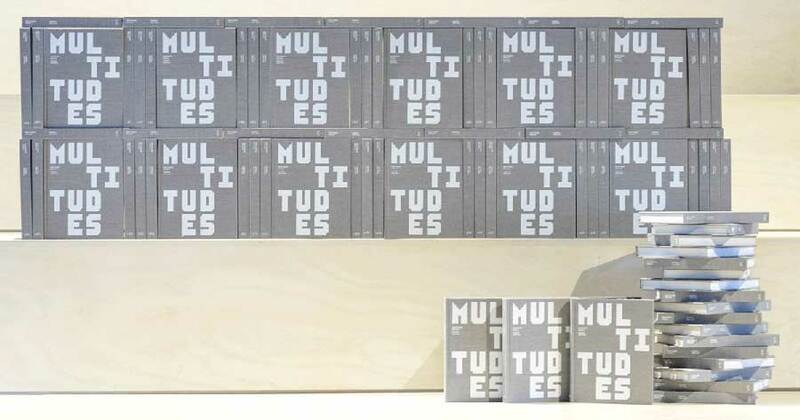 To mark the anniversary, MULTITUDES, a book and online discussion of the role design plays in shaping the world, has been published. 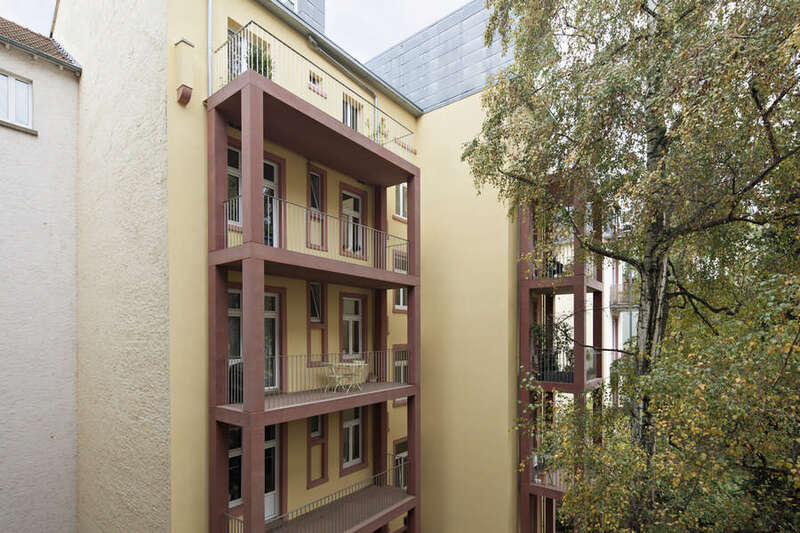 This architecture competition sought design ideas for housing in the private rental market. This is a rare example of a contemporary house being built within the shell of an existing building, in this case a beautiful old inn. 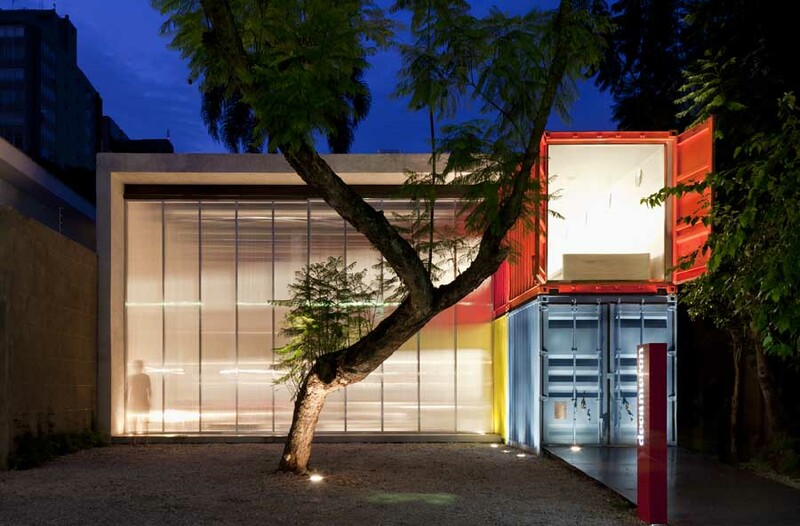 The house totals 182 sqm: the new glassy interior contrasts with the old masonry container. Following a major consultation across Brighton & Hove, £100m plans to transform the derelict municipal market building in Circus Street into a vibrant new area contributing significantly to both the cultural and economic future of the city, have been submitted to Council Planners by developers Cathedral Group in partnership with McLaren Property. 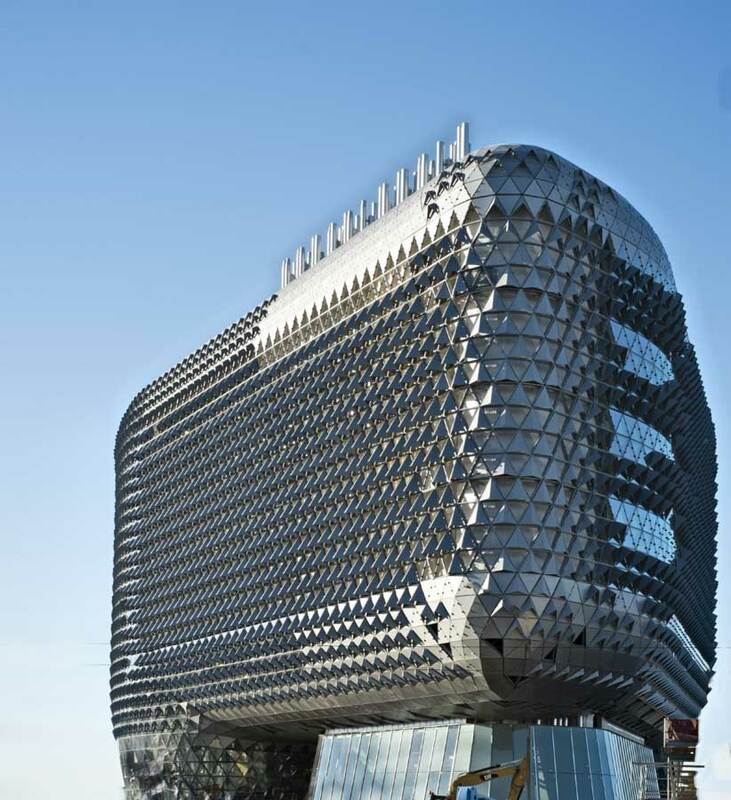 Nicknamed the ‘pinecone’ or ‘blue tongue’ the SA Health and Medical Research Institute building is creating a lot of interest in the Australian architecture community. 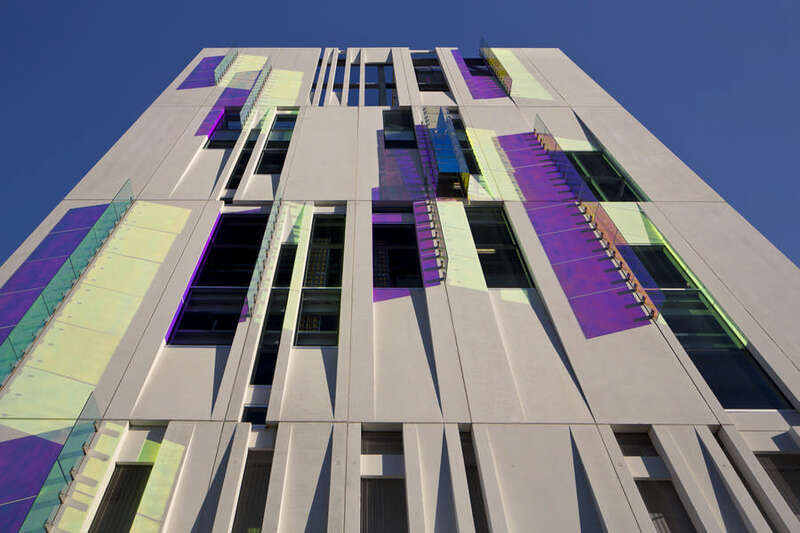 The $200m bio-research facility building is federally funded and nearing completion. 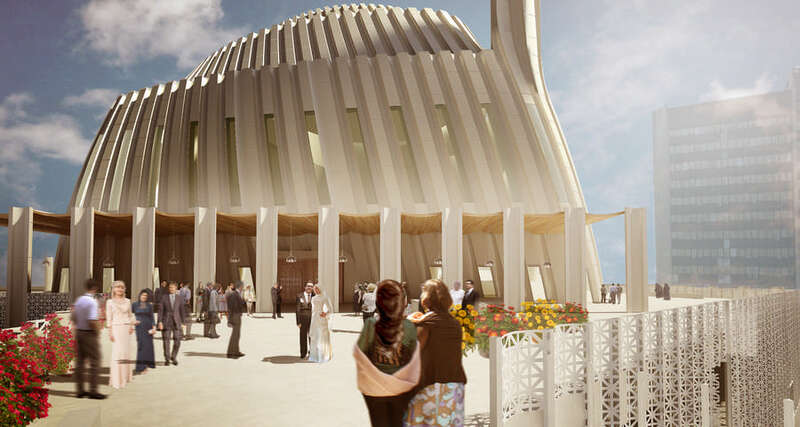 This proposal for the new Central Mosque of Pristina has been awarded the 2nd prize: no 1st prize has been selected. Following the jury’s invitation the Slovenian architects have developed the design proposal further for final jury’s selection of the design that will go into a design implementation phase. 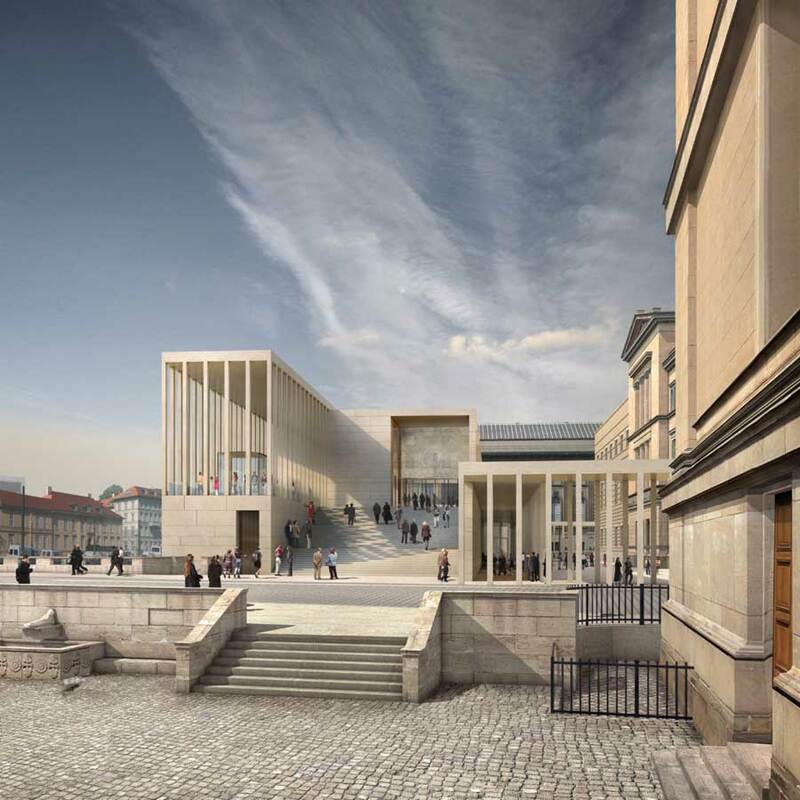 Laying of the foundation stone for the gallery building which will complete the Museum Island ensemble in Berlin. 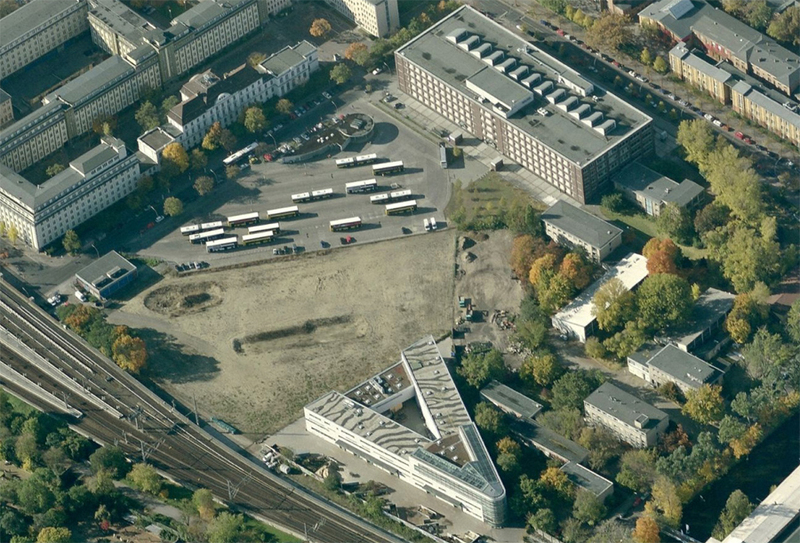 It is located between the Kupfergraben canal and the Neues Museum and provided a central entrance for the island. The sports hall and pool hall volumes combine in a complex juxtaposition of cubic forms. The interior is flooded with natural light. Glazed slots offer glimpse views into the pool hall whilst the glazed fitness suite has expansive landscape views. LIN has been selected to develop the masterplan for the tri-national territory of 3Land – Basel, Weil am Rhein and Huningue. 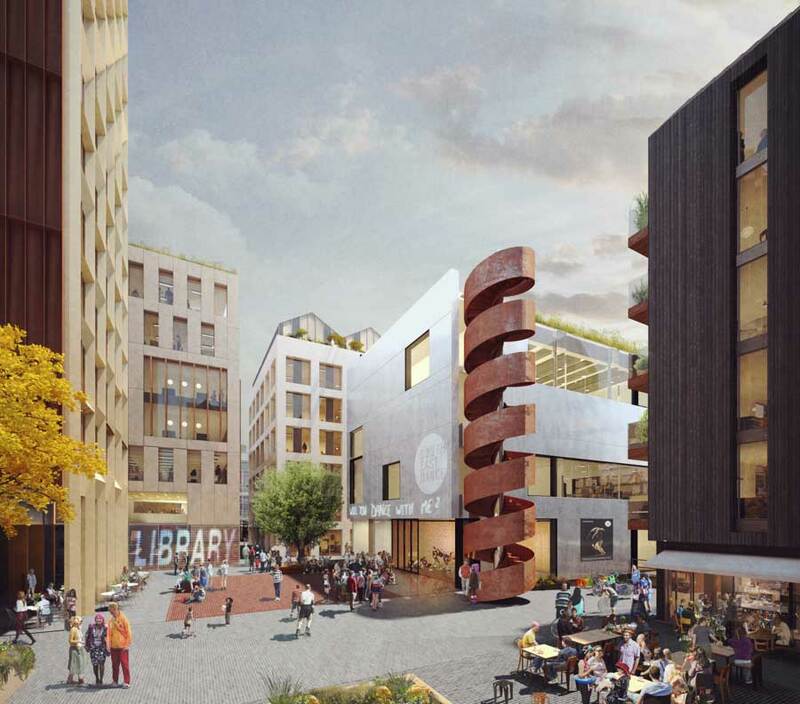 Previously the architects have worked on a design for Strasbourg – Kehl Zollhofareal (France / Germany). 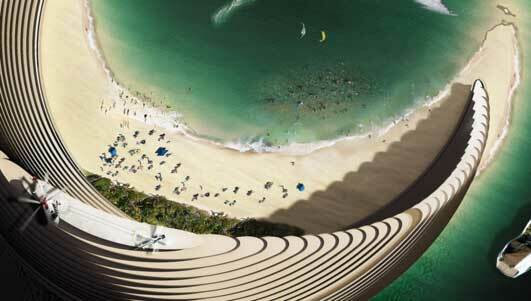 These are futuristic landmark buildings for the United Arab Emirates. 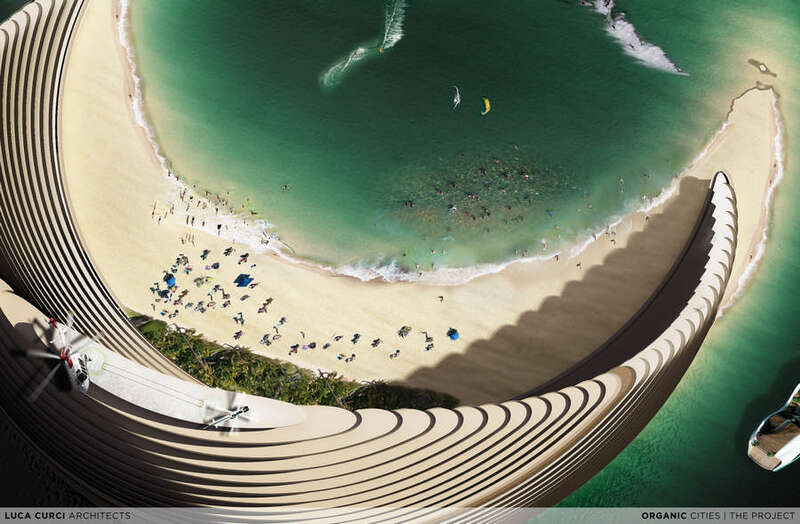 The project is organized into 2 groups: organic buildings on the earth, and “moons” on the sea. All of them are interlinked. The “moons” on the sea are divided into 3 kinds: smaller residences ; hotels ; residences, hotels and private apartment complexes. An article by Emporis looking at the major financial buildings from across the globe. 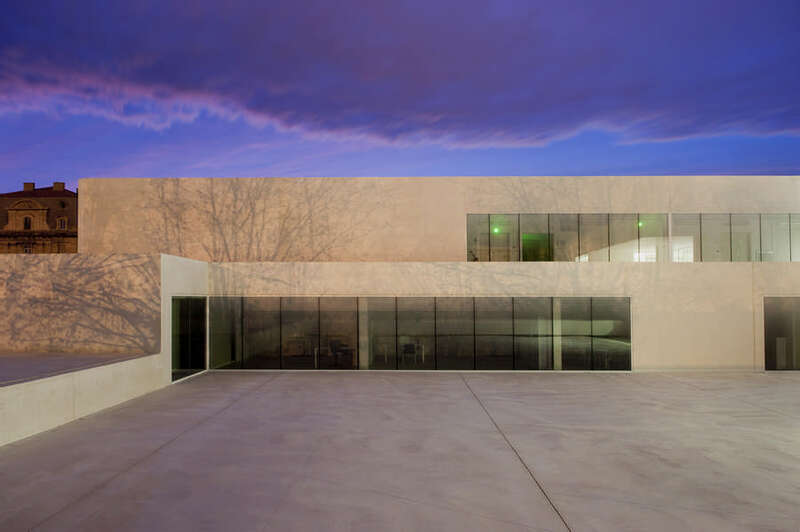 This large low building is a new mixed-use complex for the MAST Foundation – a cultural and philanthropic institution that focuses on art, technology and innovation. MAST is a private initative open to the community. 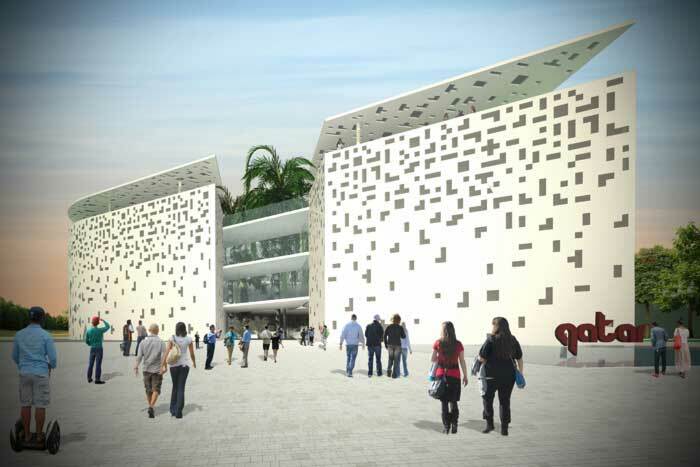 This building is a major expansion to the Bar-Ilan University Campus in Ramat- Gan. It is the central convention center for the university, utilized for university programs and special events. 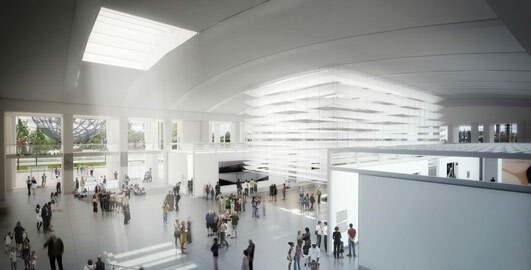 The 38,000-sqft convention center stands on a critical crossroad in the campus and opens a dialogue between the university and its neighbors. As such, it forms a gateway and beacon. 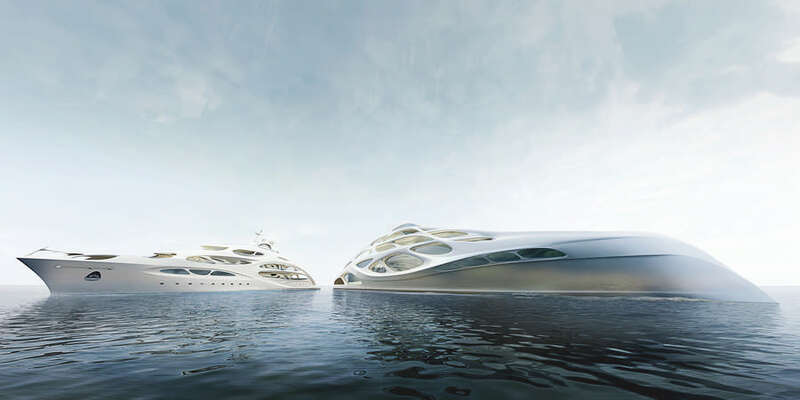 The design concept is based around the sculptural form of a master prototype for a 128m yacht. 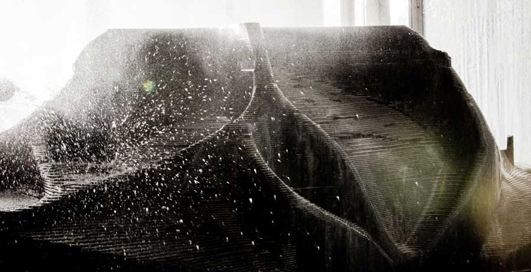 In addition a family of five 90m yachts for Blohm+Voss has been created. 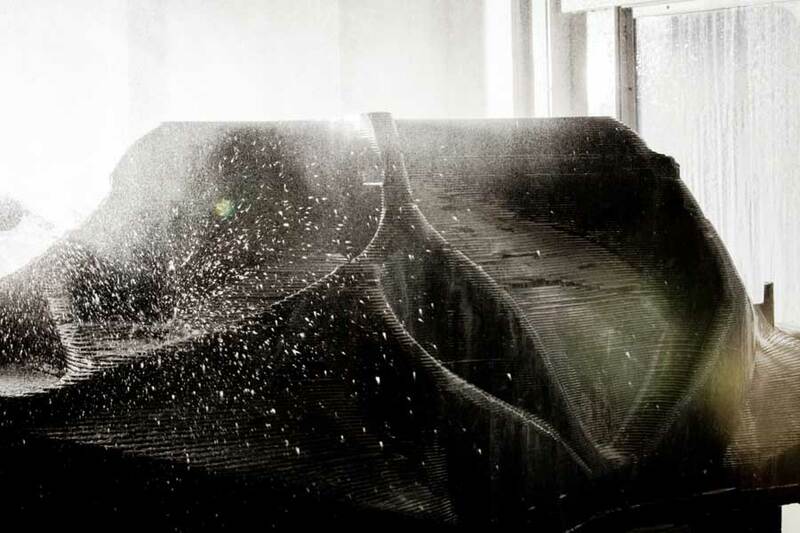 David Gill presents the next evolution of Zaha Hadid’s series of Liquid Glacial tables. 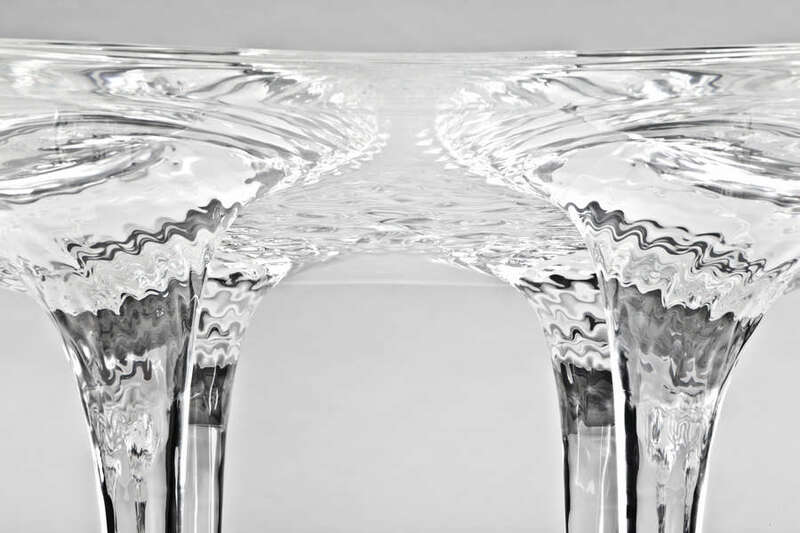 The latest version, entitled, Protoytype Liquid Glacial table, was unveiled at David Gill Galleries on 15 Oct. The exhibition will run until 16 Nov. 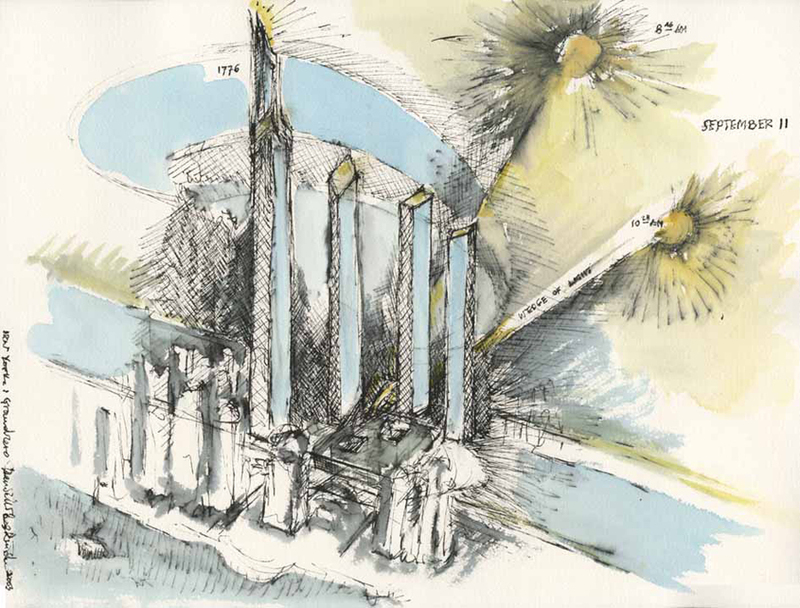 This major international competition was won by Kazuyo Sejima + Ryue Nishizawa / SANAA from Japan with Jean-loup Baldacci (France) in second place and Eisenman Architects (USA) in third place. 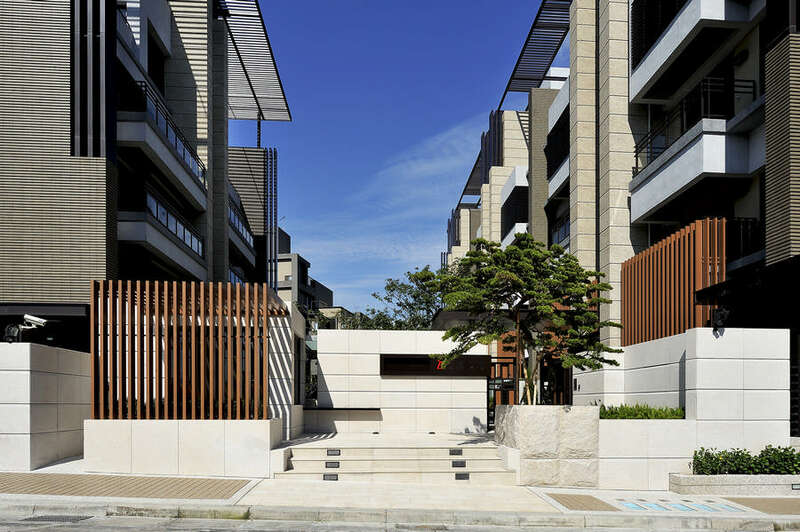 This new residential development seeks up/down duplex townhouses that preserves quality of both urban spaces and private dwelling, while giving back the city a pleasant environment. 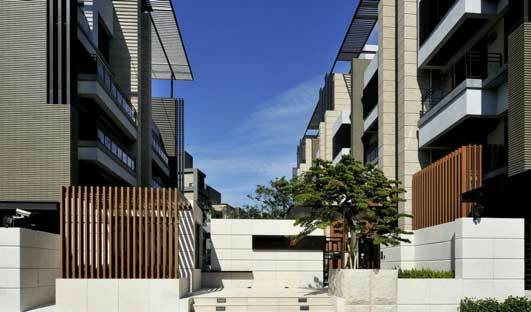 The articulation of the blocks is strong and the landscaping is generous and welcoming. The project groups the more intimate areas of two up/down units on to the second and third floors in order to avoid unwanted disturbances from the neighbours. 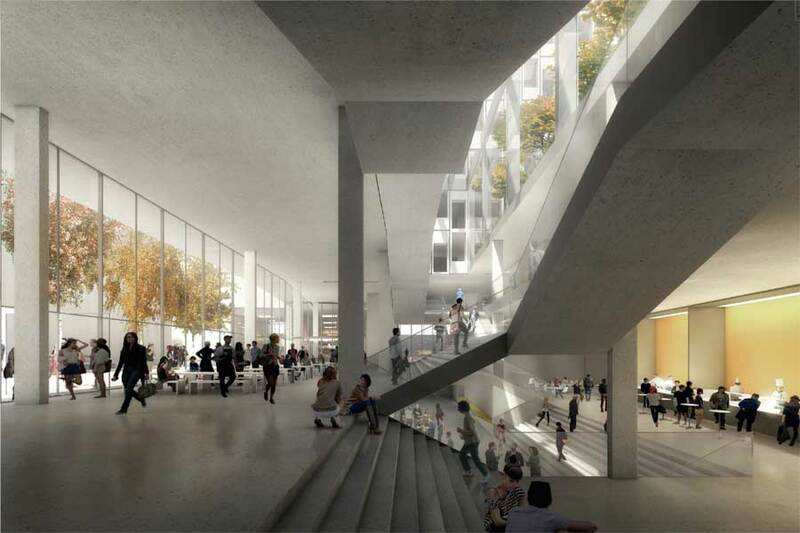 The London School of Economics (LSE) has revealed designs from the five architects shortlisted (there were six but Steven Holl Architects pulled out due to work pressures) for its next major building project; the £90m Global Centre for Social Sciences. 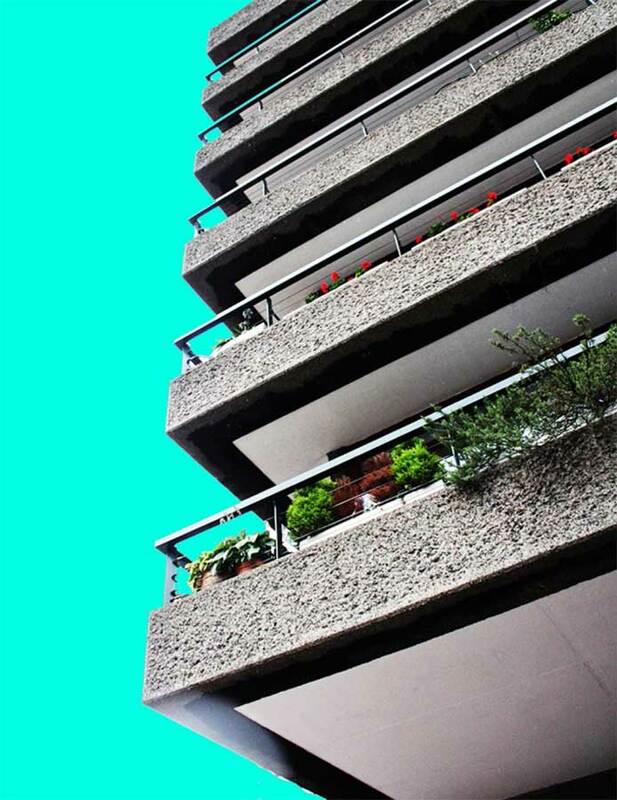 This international architecture competition is run in conjunction with the RIBA. This building is inspired by the successful JCC of Manhattan. The form is long and low, set back from the main road. The styling is simple and orthogonal, with deep recesses within the facade. 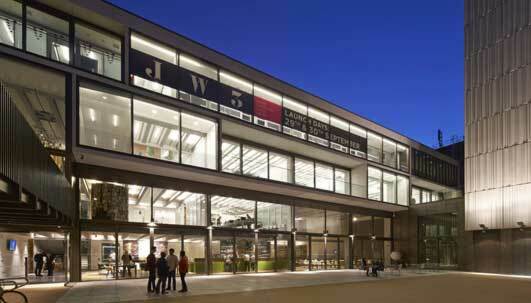 The centre is funded by Dame Vivien’s Clore Duffield Foundation and other private donors. 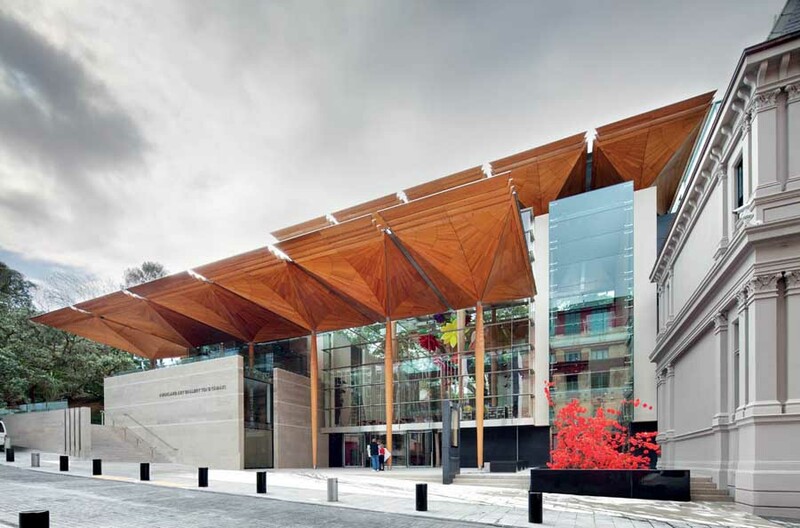 This building is an extensive public project that includes the restoration and adaption of heritage buildings; a new building extension which more than doubles the public exhibition areas; extensive basement storage and support areas; and the redesign of adjacent areas of Albert Park. 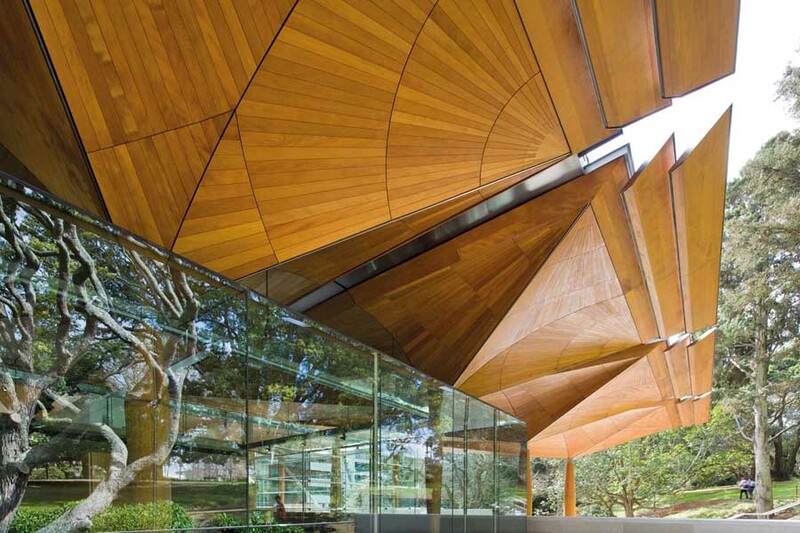 The design creates an openness and transparency to allow views through, into and out of the gallery circulation and display spaces into the green landscape of Albert Park. 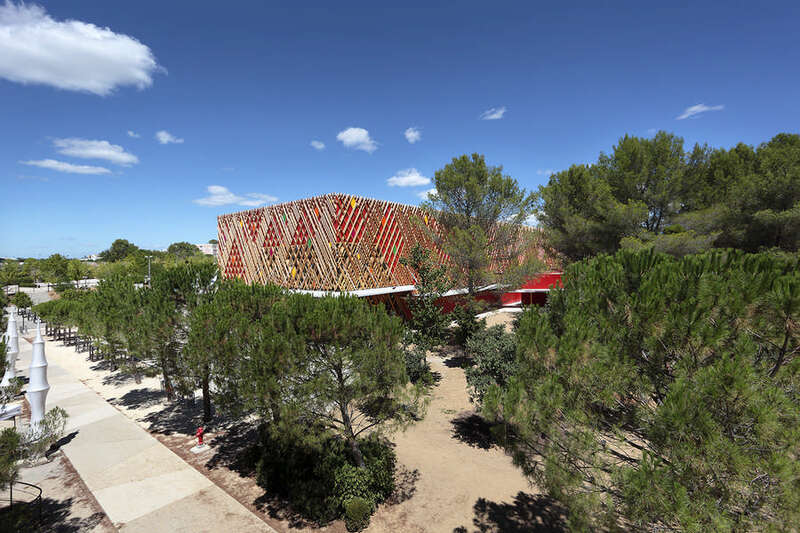 This colourful building sits lightly in its site, surrounded by mature trees. 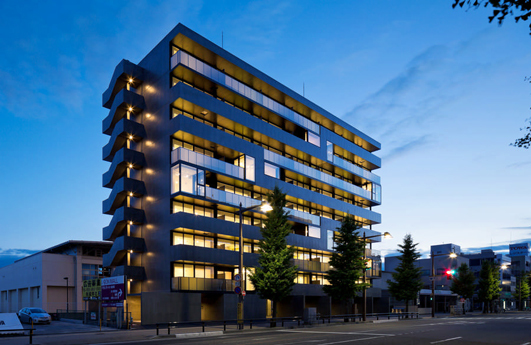 The architects have focused on making a low energy building – limiting energy necessary for the construction of the building, for its usage and for any future dismantling.